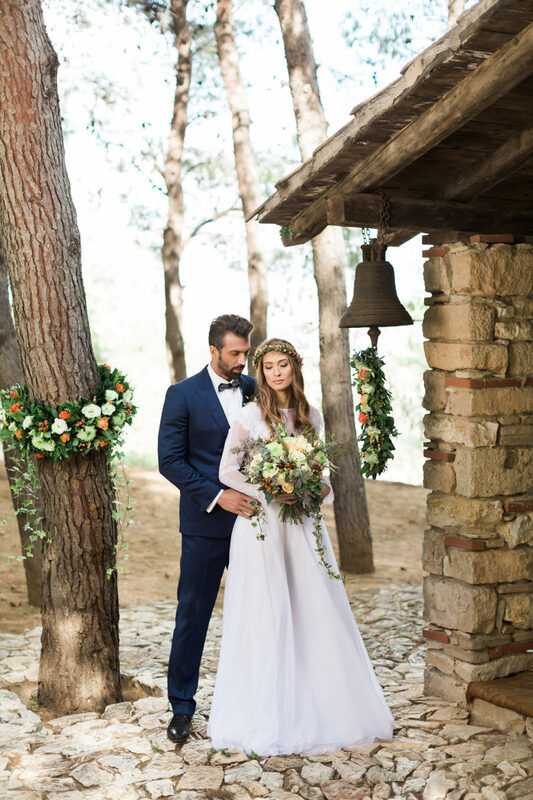 Do you believe in Fairy Tales? 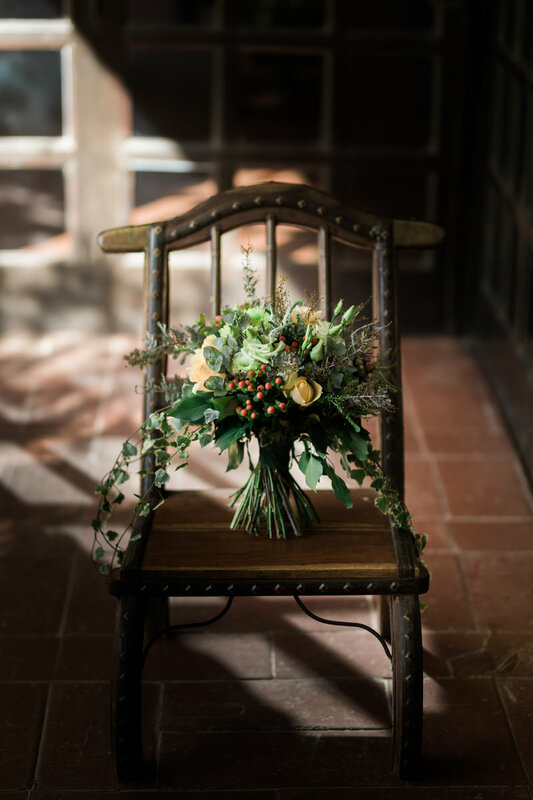 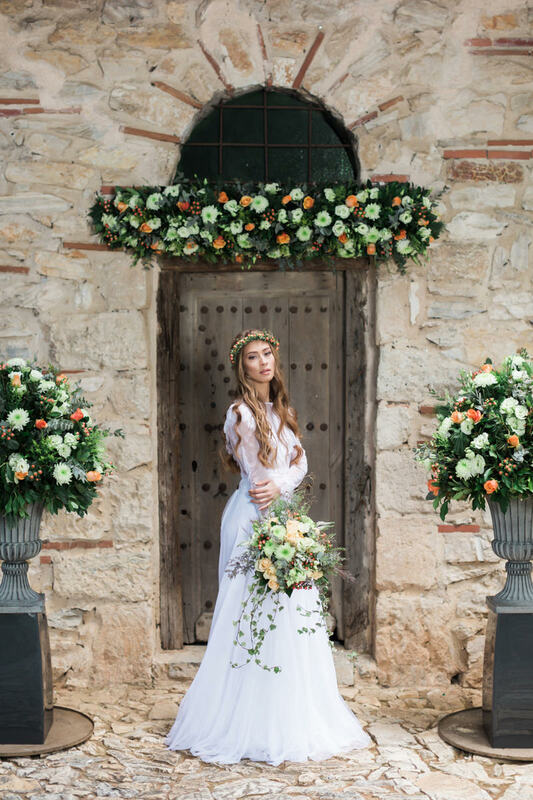 Take a walk in the country and enjoy a loving story, a Fairytale Countryside Dream. 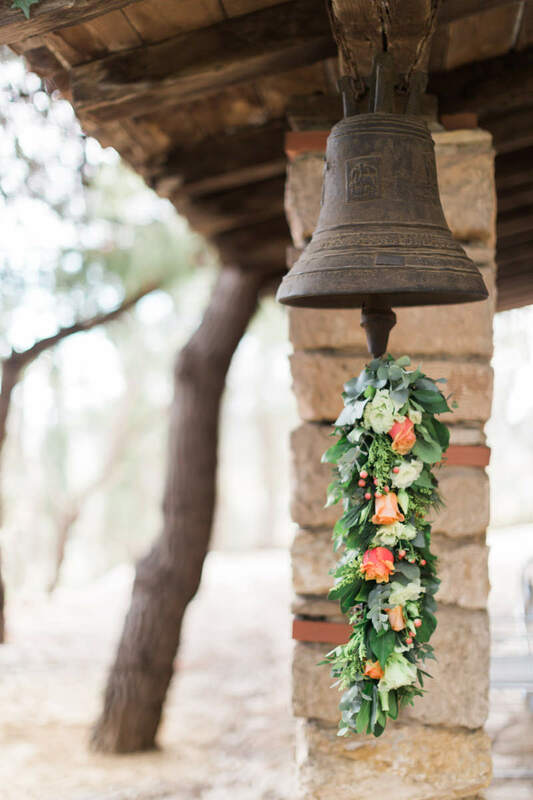 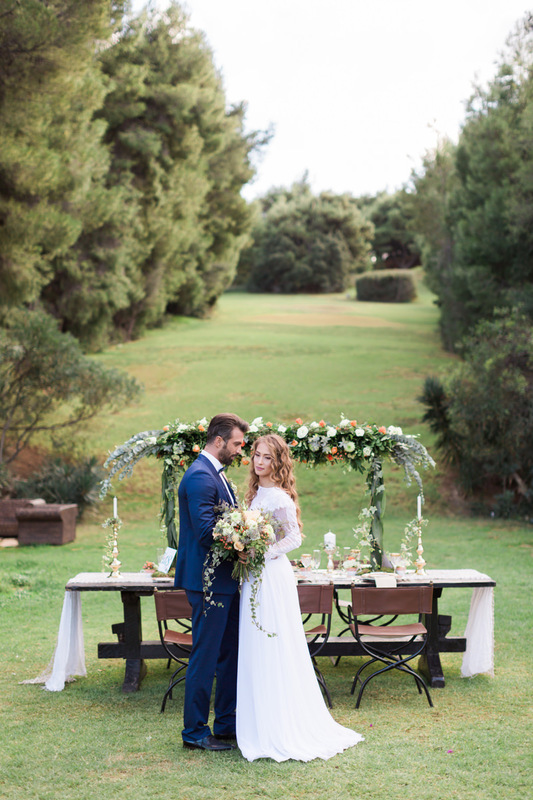 The stone-like chapel, inside this romantic, estate surrounded by olives, cypresses, pines compose the original aesthetic. 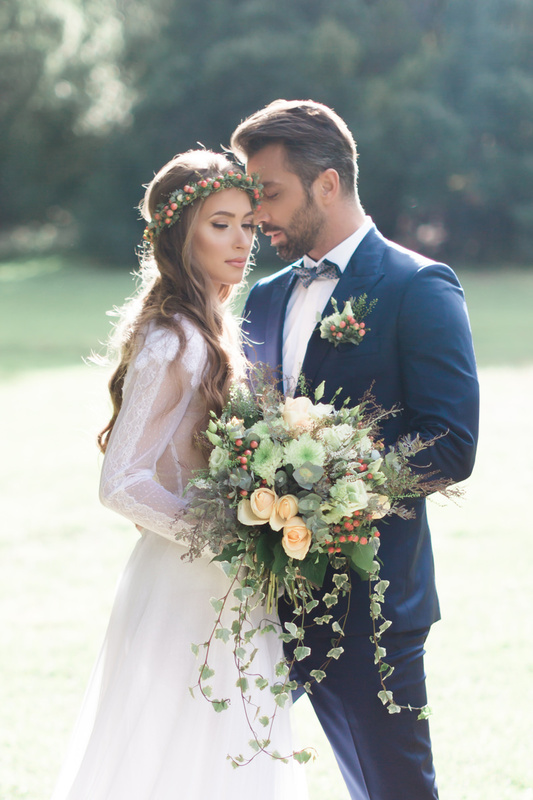 “Magic and Dreams” exist at the same time in this beautiful heart warm story. 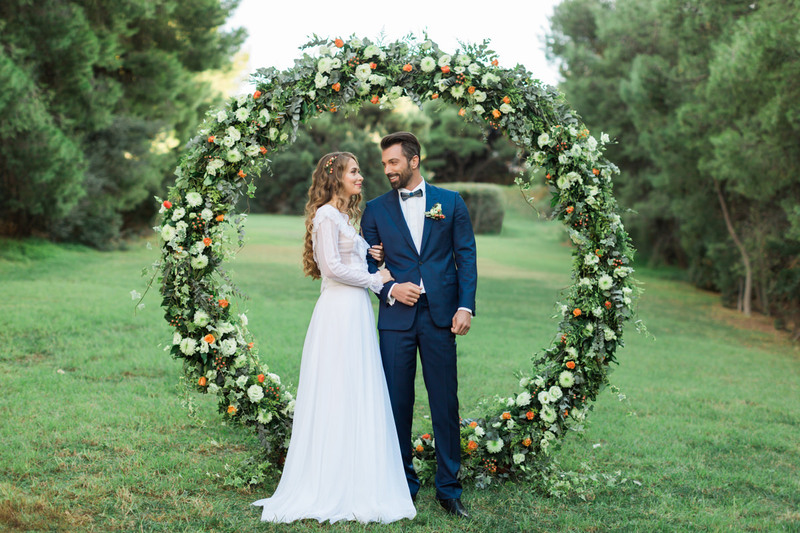 Through the eyes of Dimitris Giouvris Photography and Theofilos Venardos covering backstage, while Wed Memories created the wonderful video! 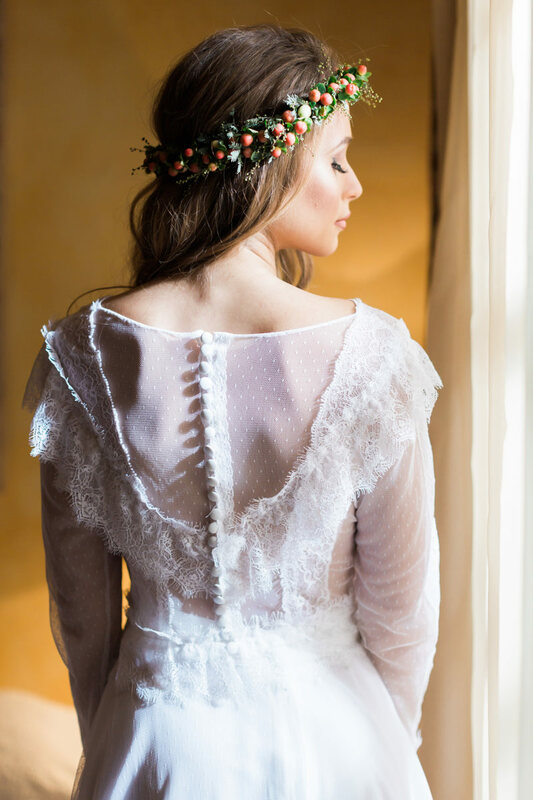 Romantic dress of French Chantilly lace and skirt made of silk and cotton tulle’s with impressive embroidery on the neckline. 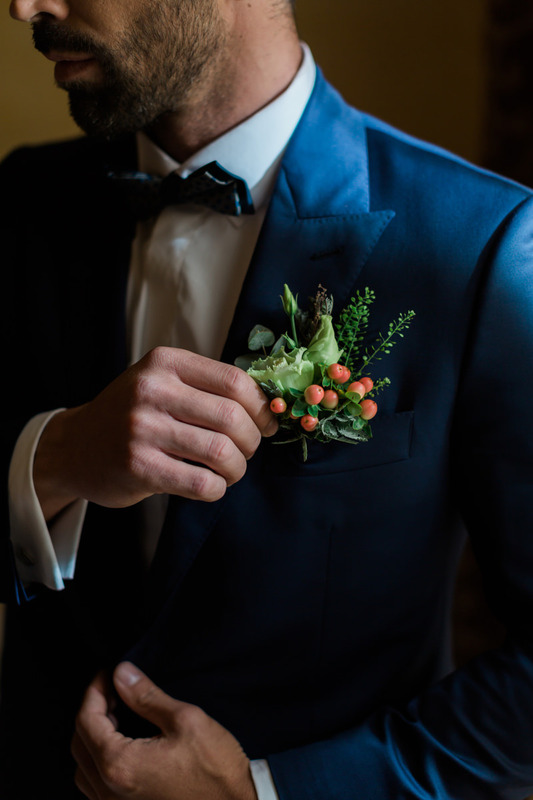 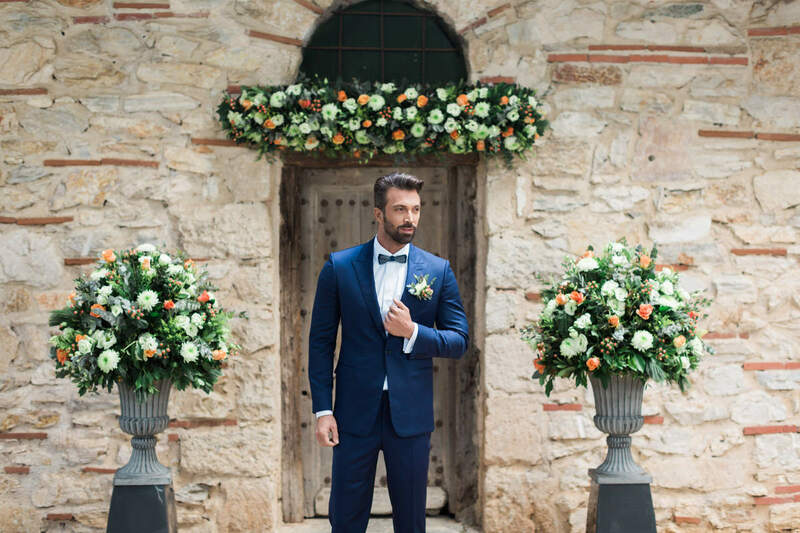 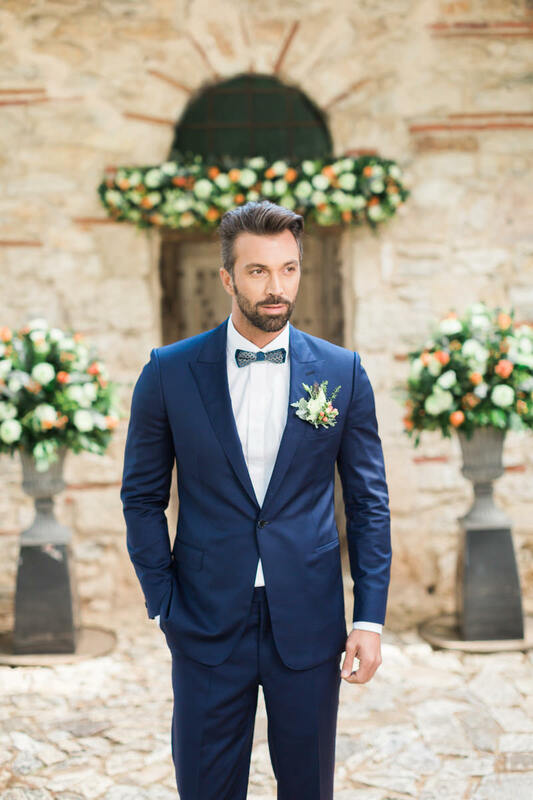 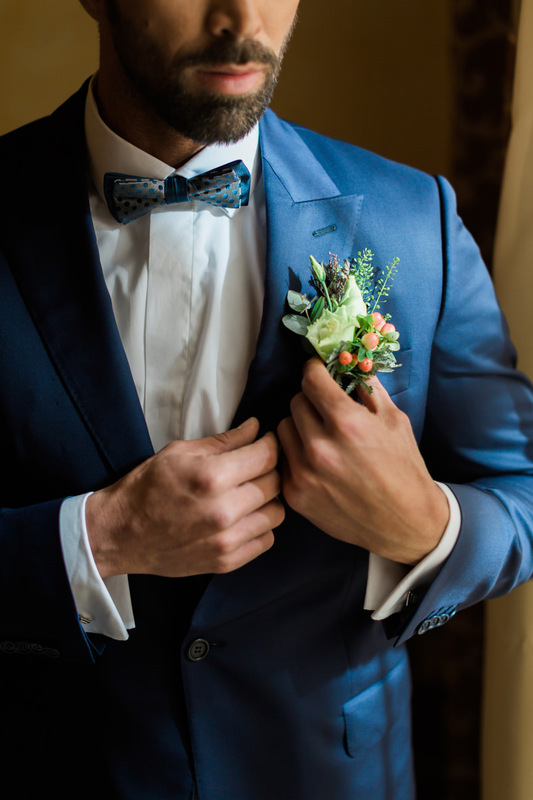 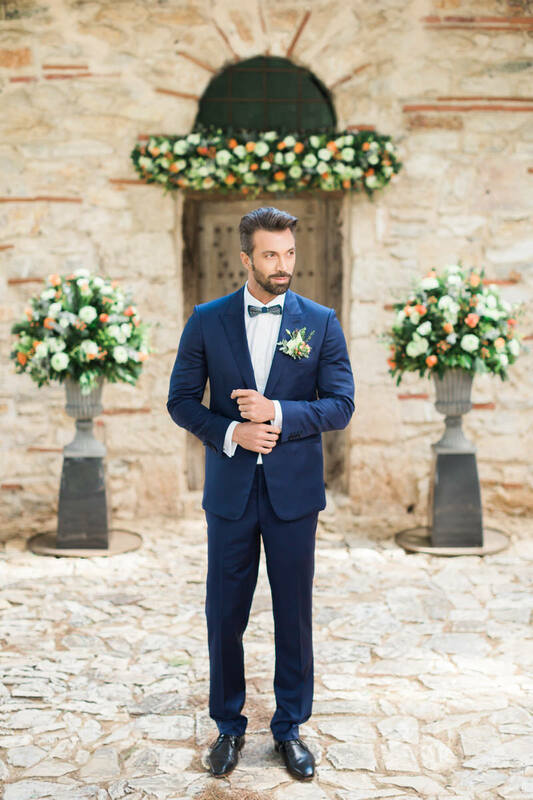 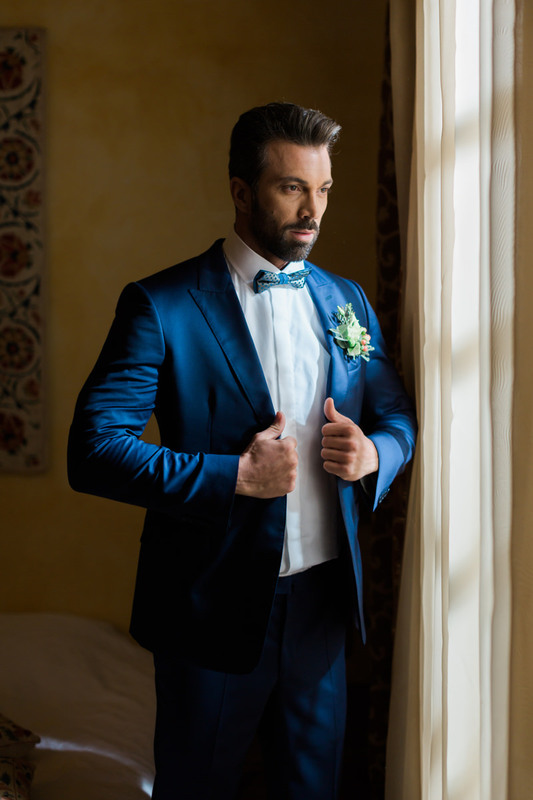 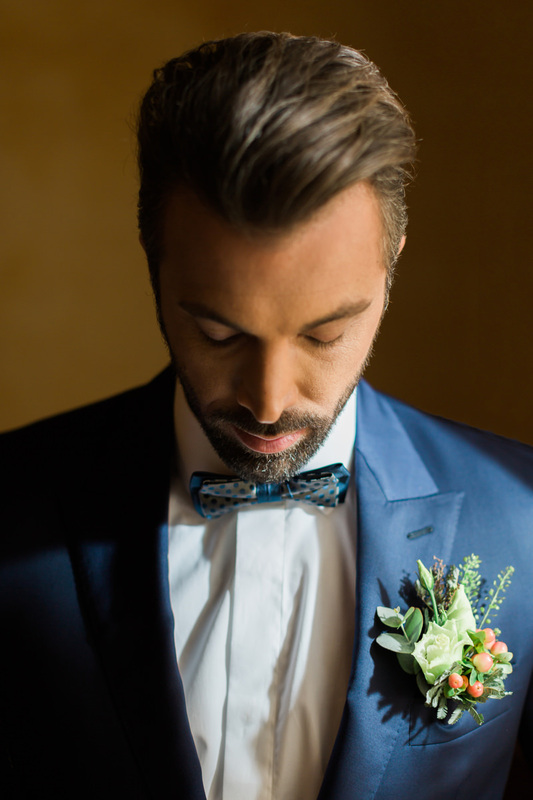 Smoking one button slim line suit in blue black color for Adrian. 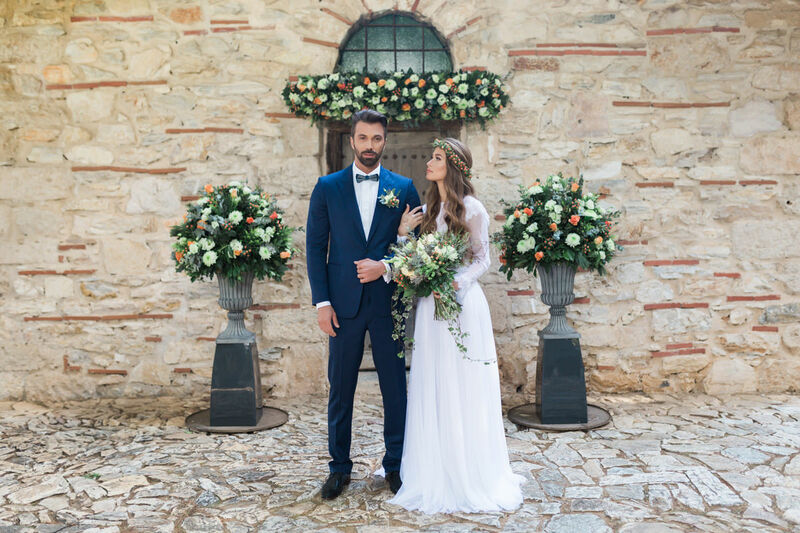 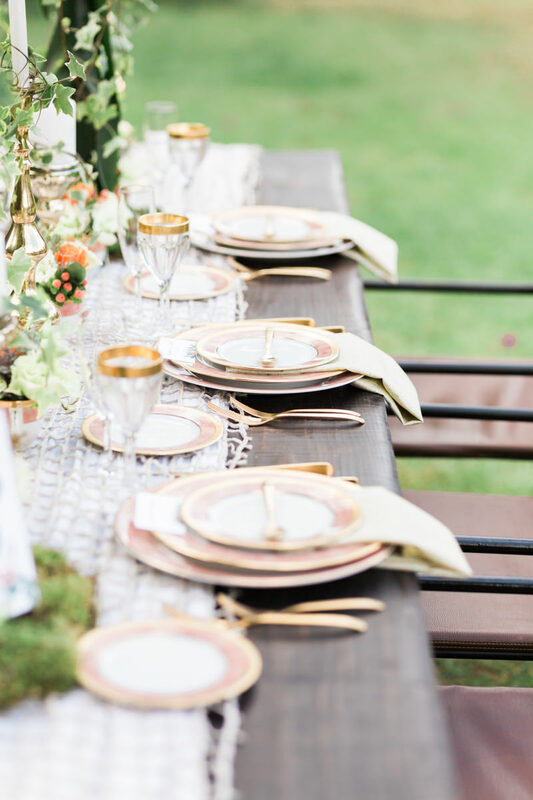 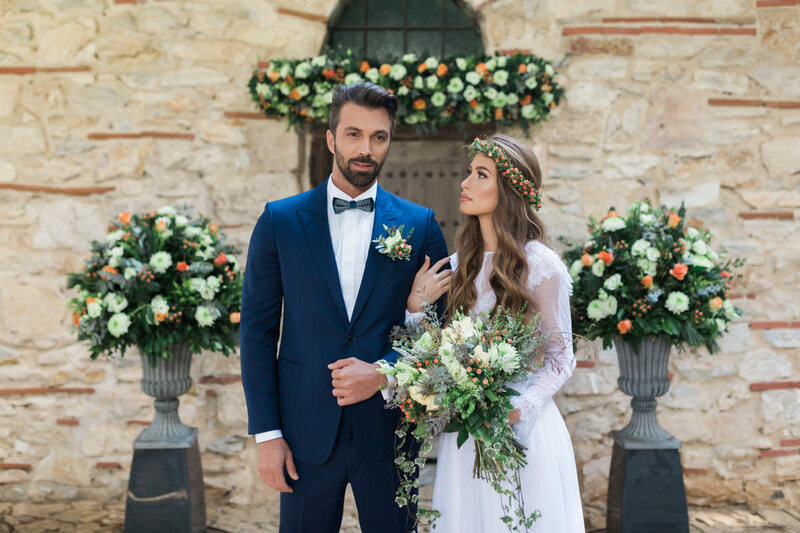 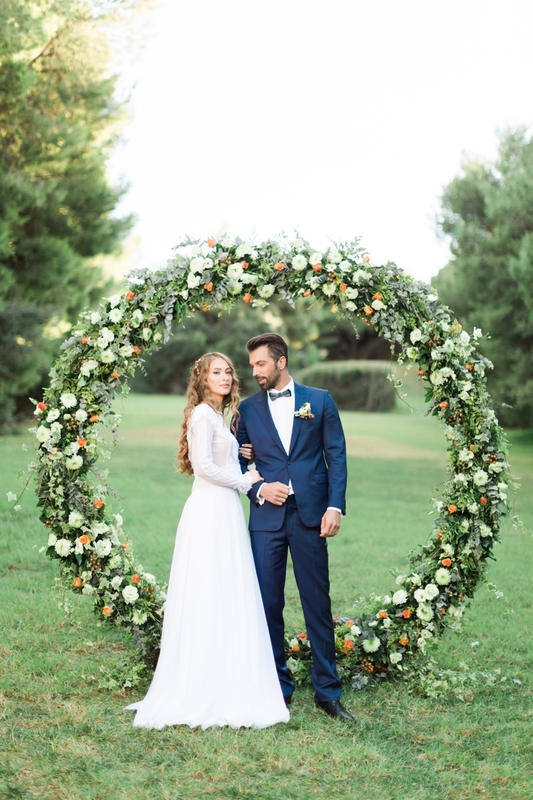 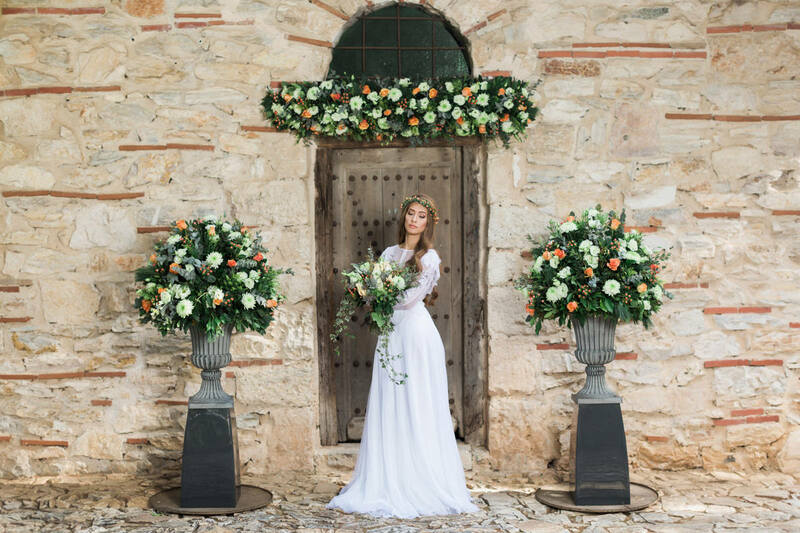 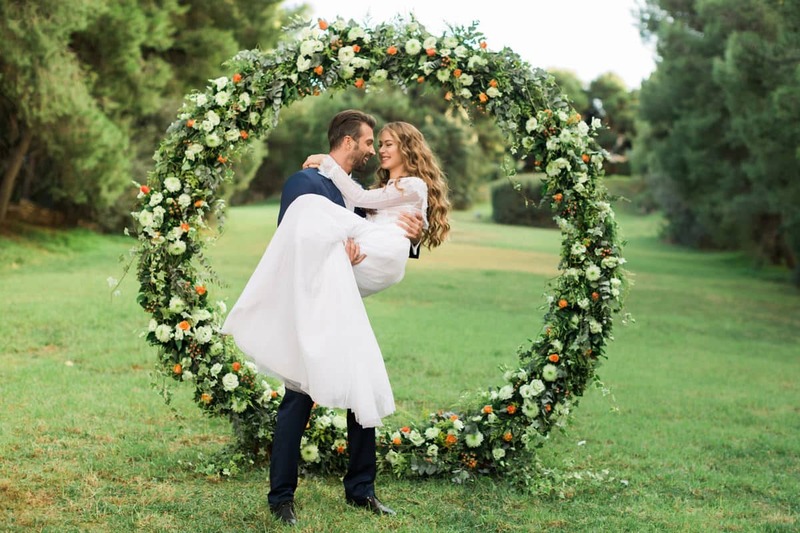 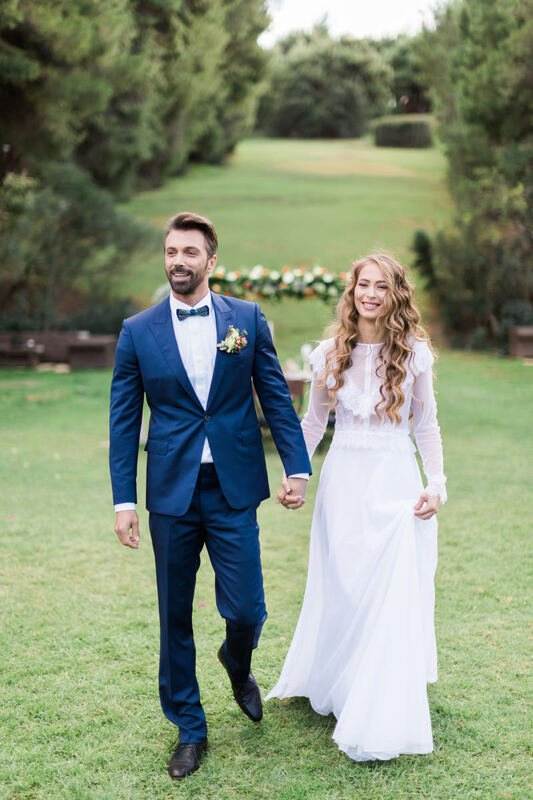 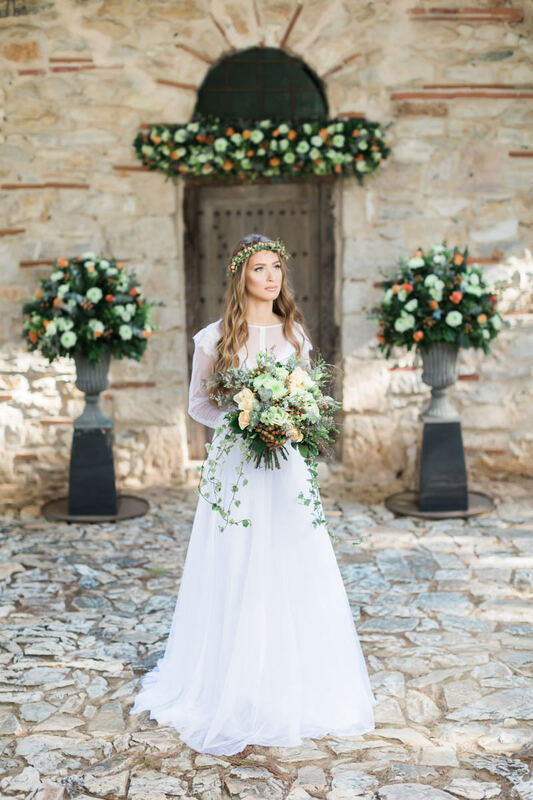 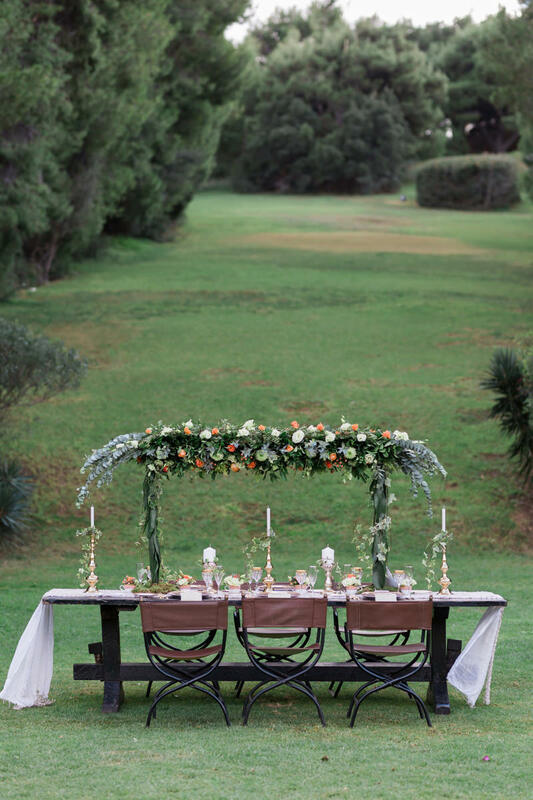 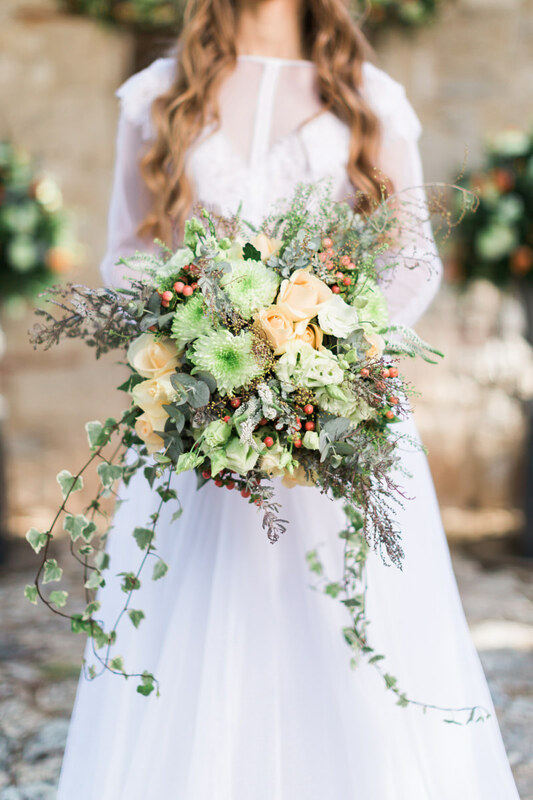 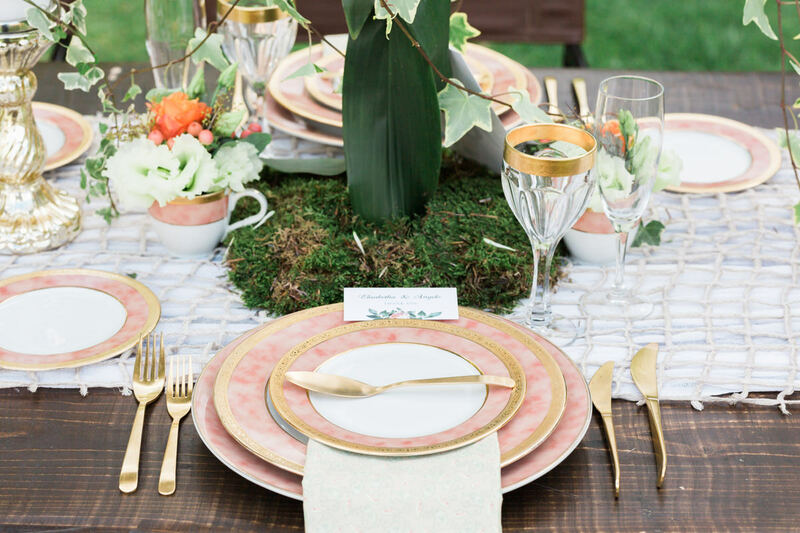 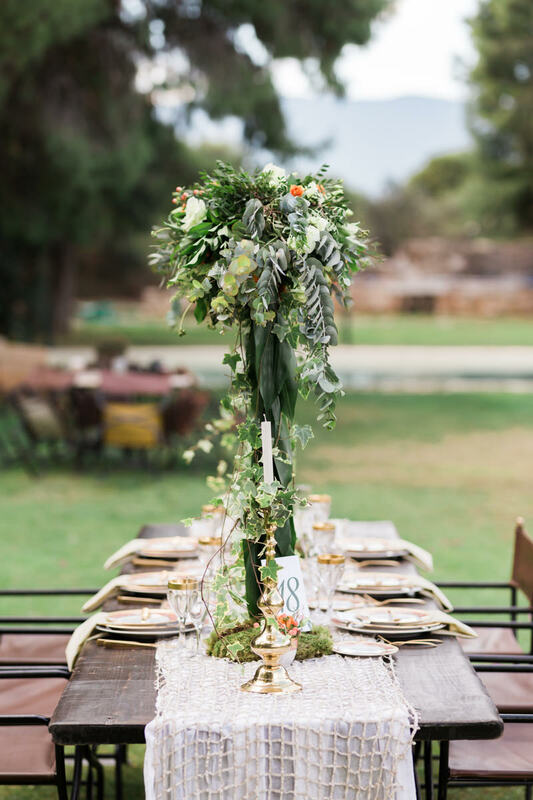 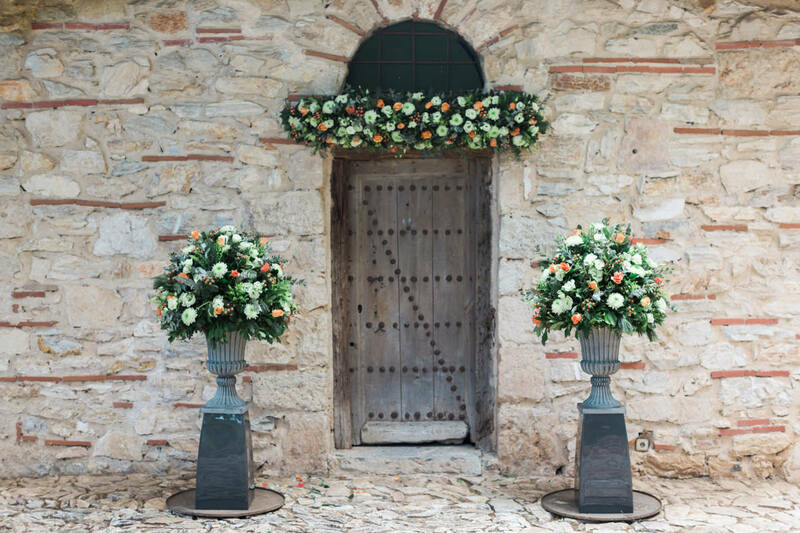 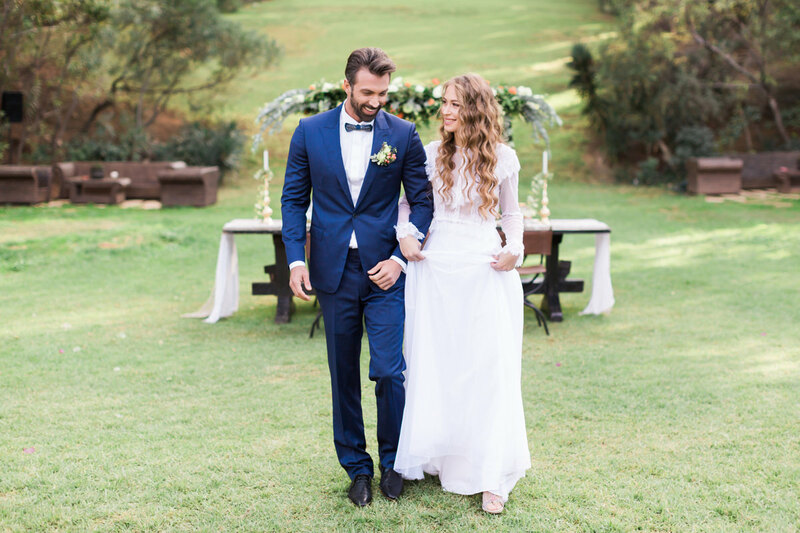 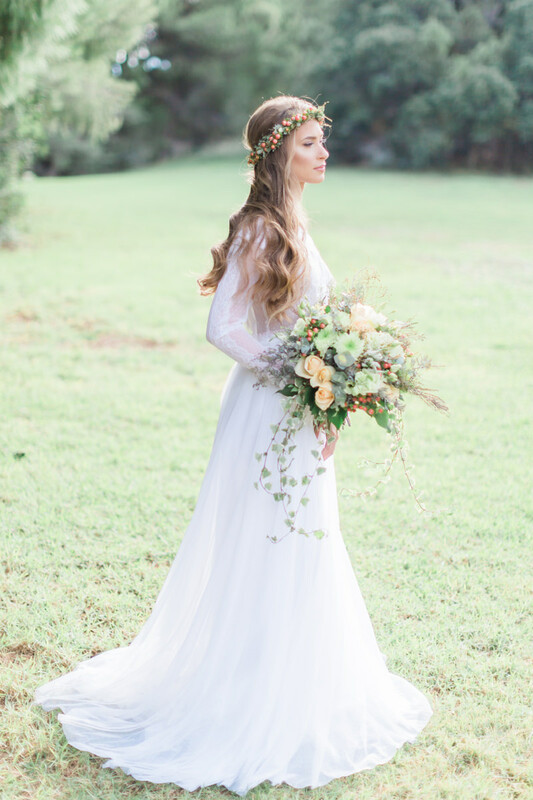 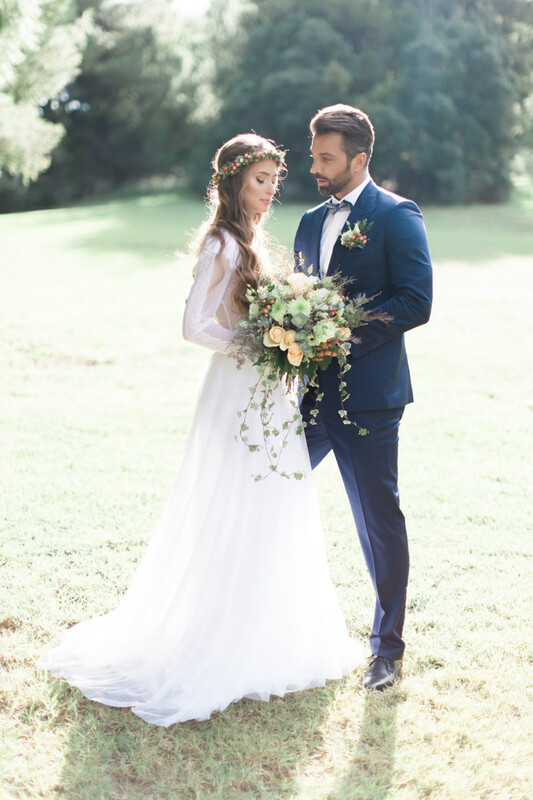 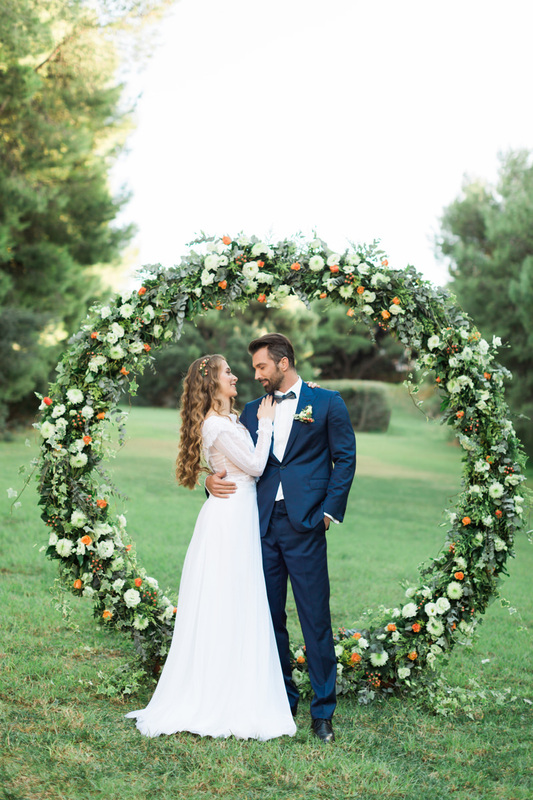 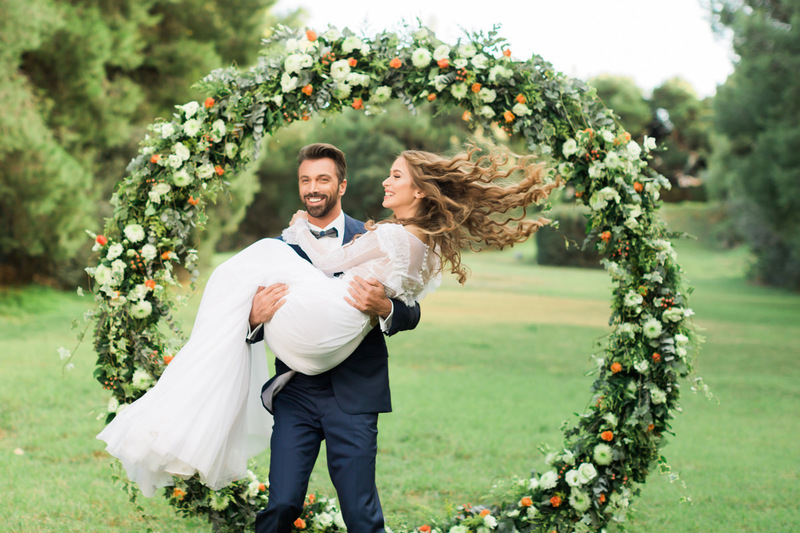 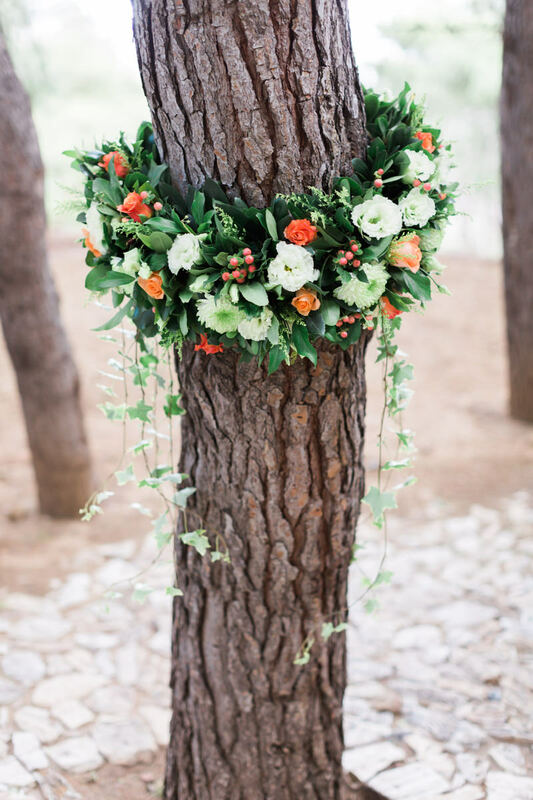 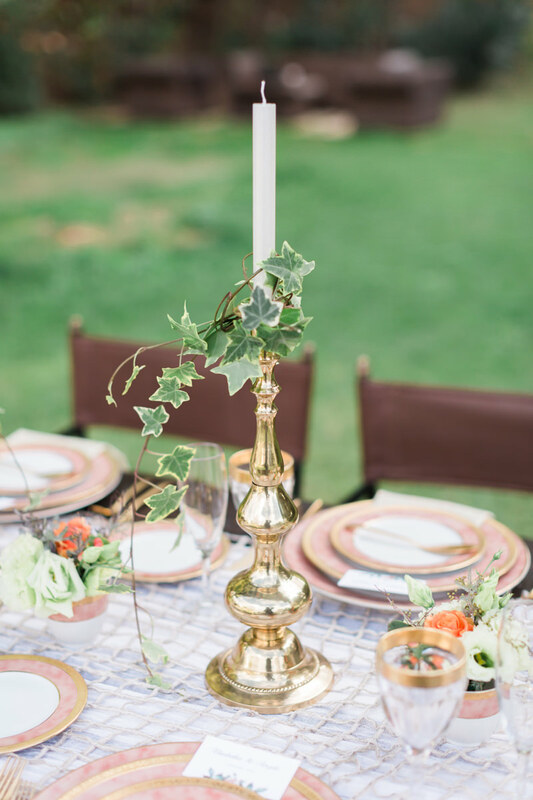 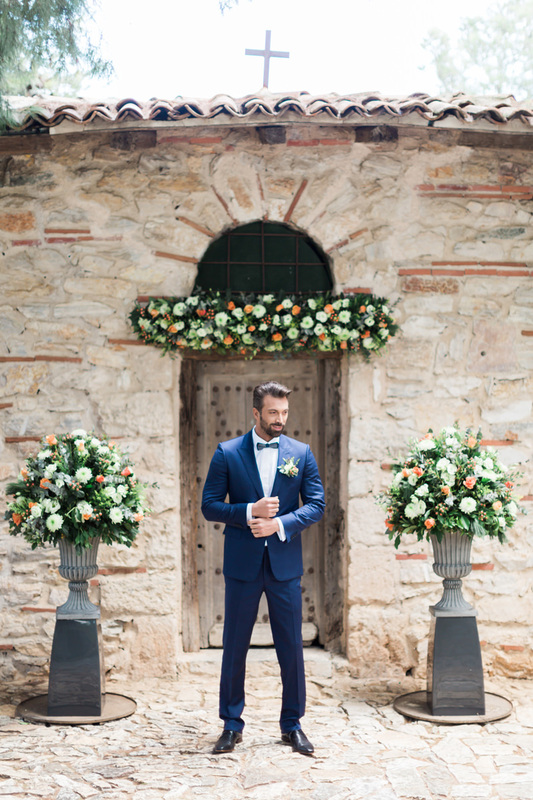 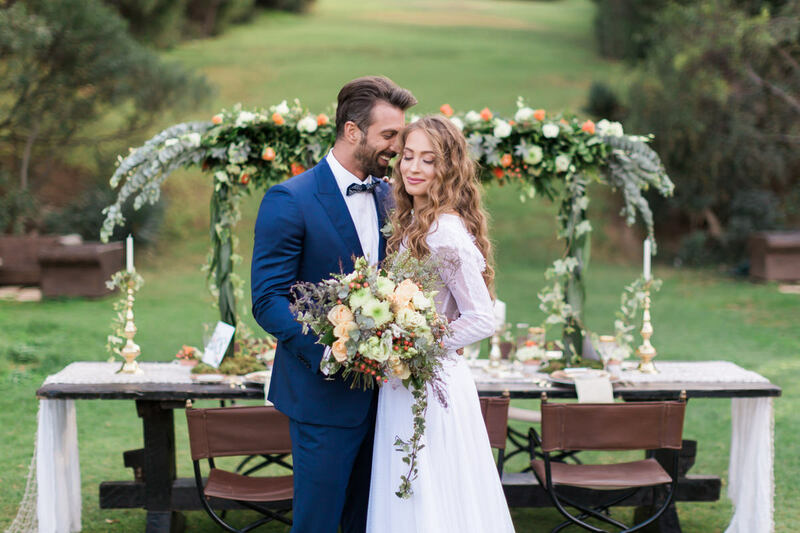 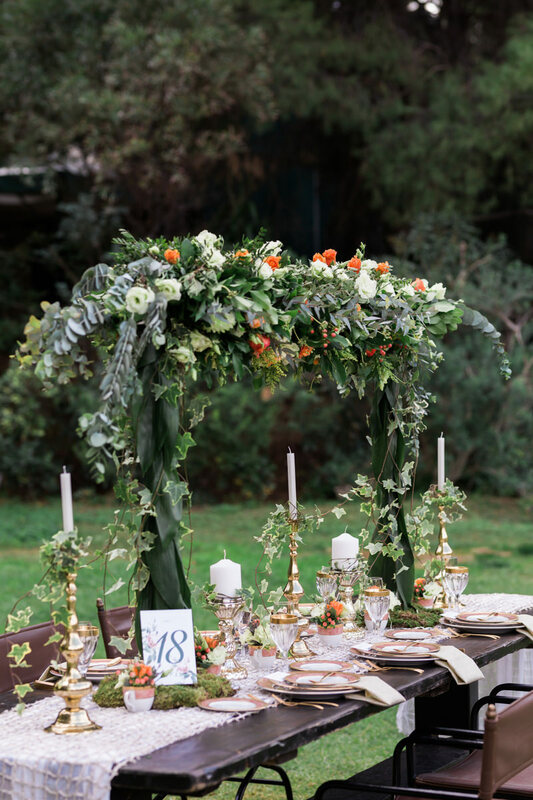 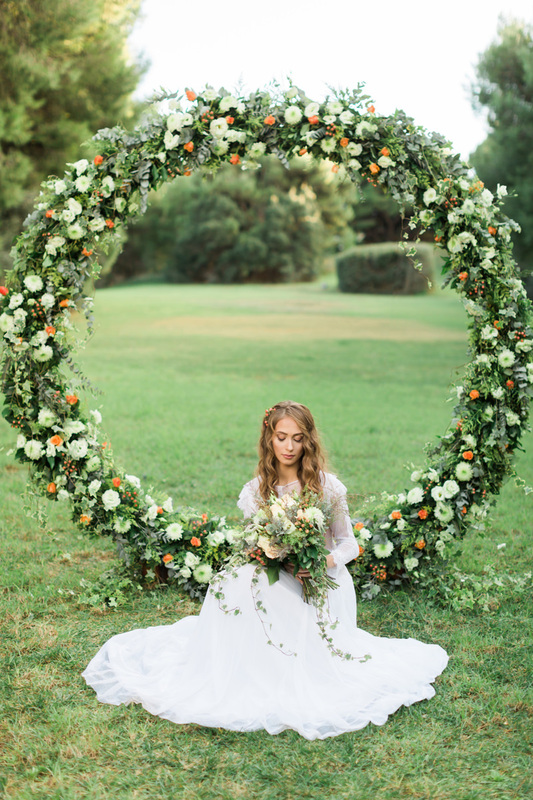 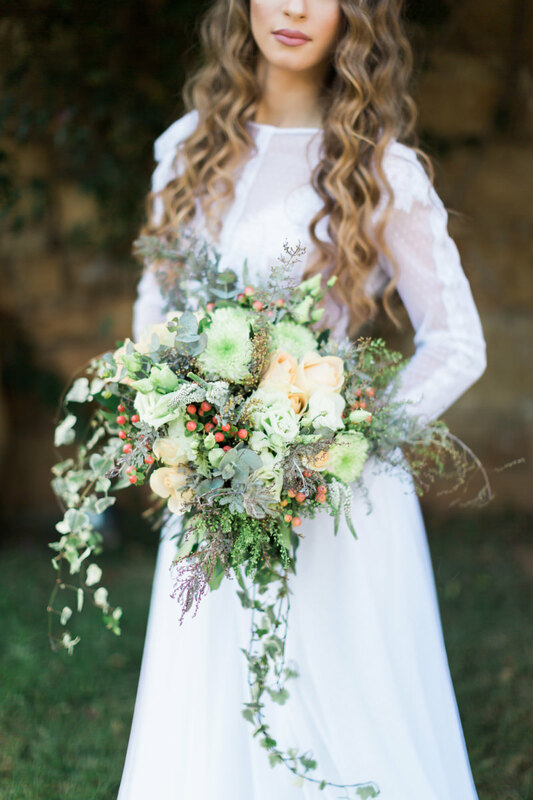 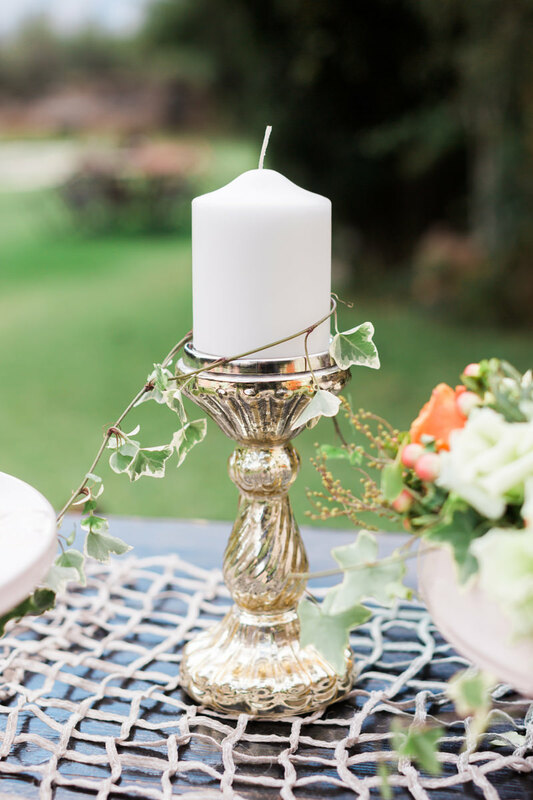 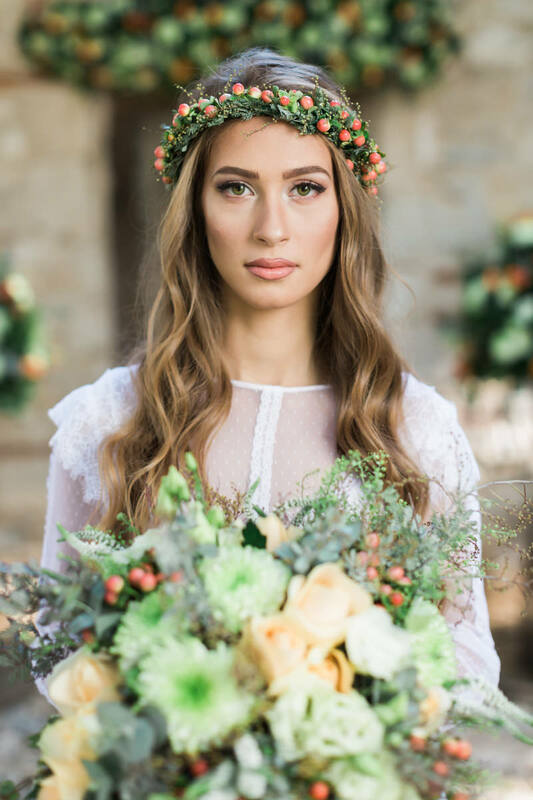 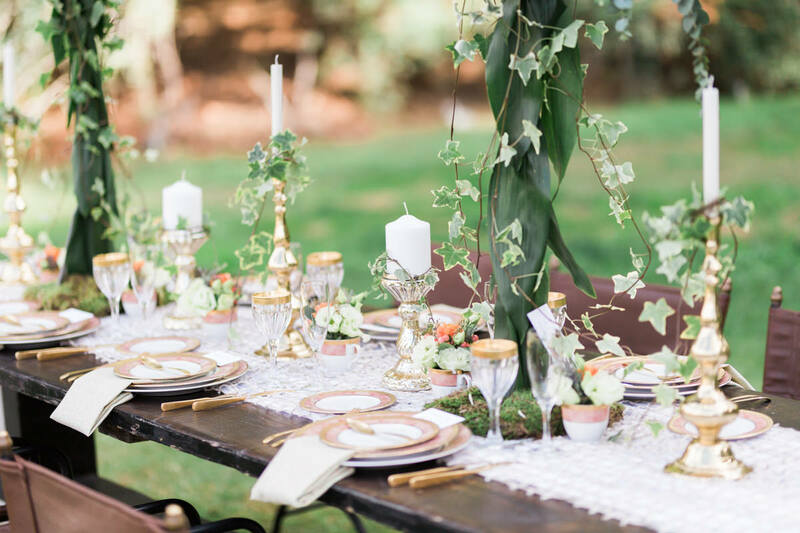 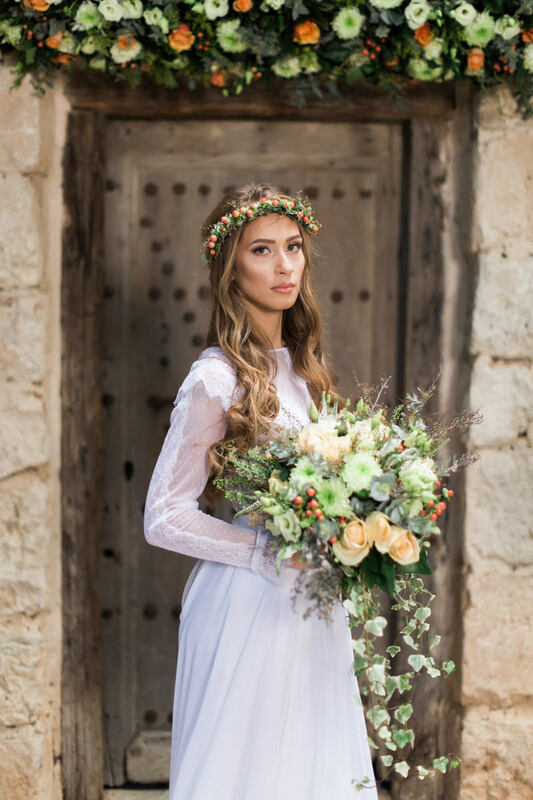 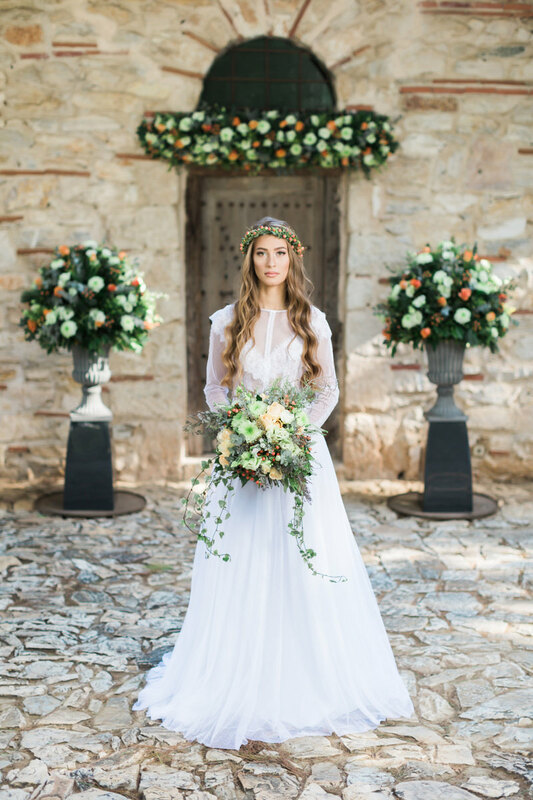 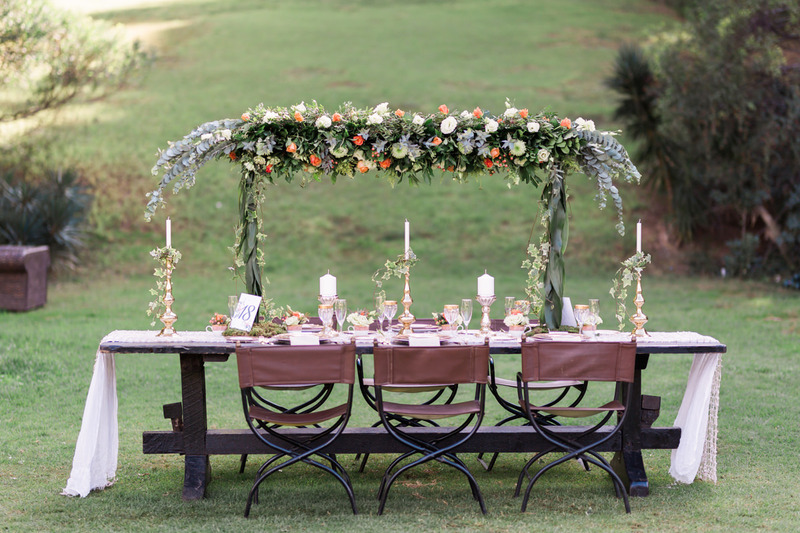 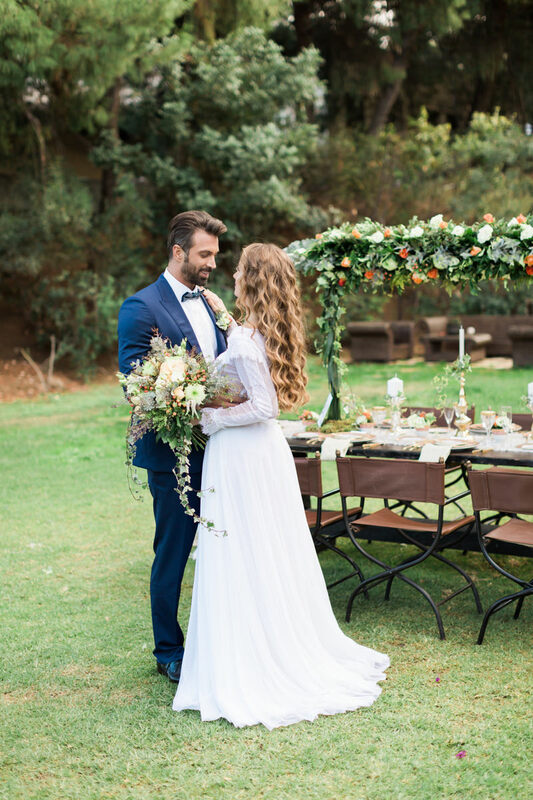 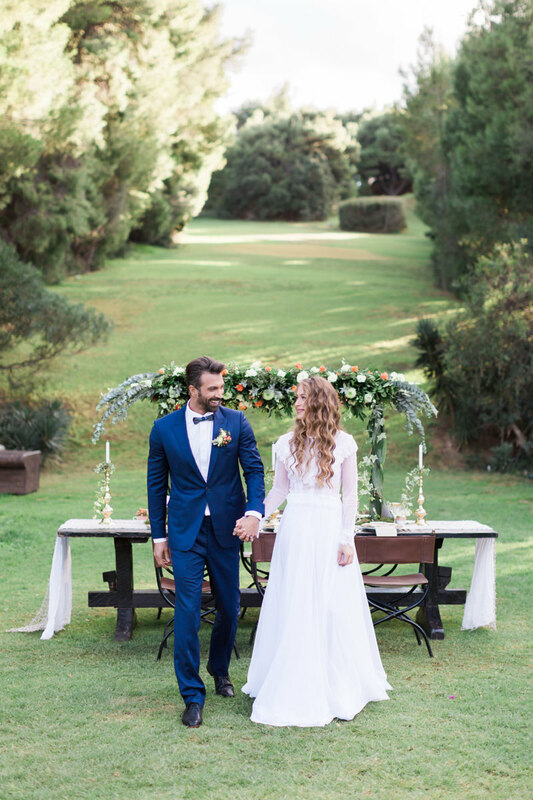 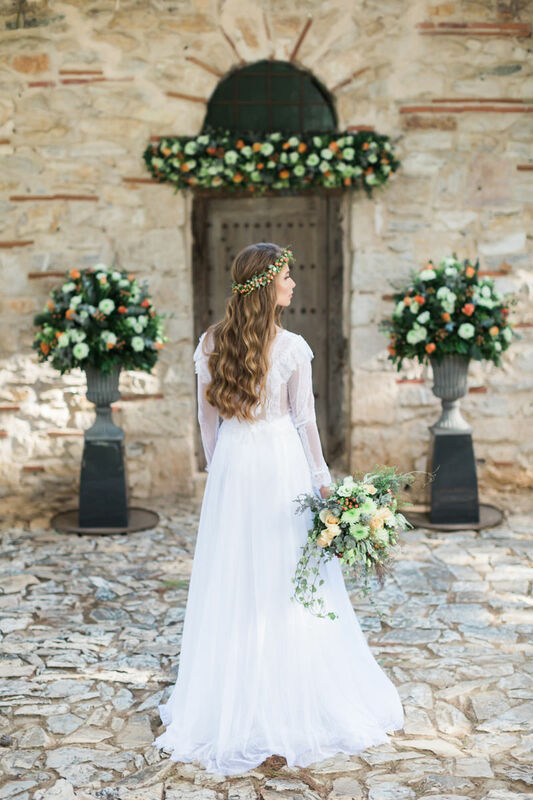 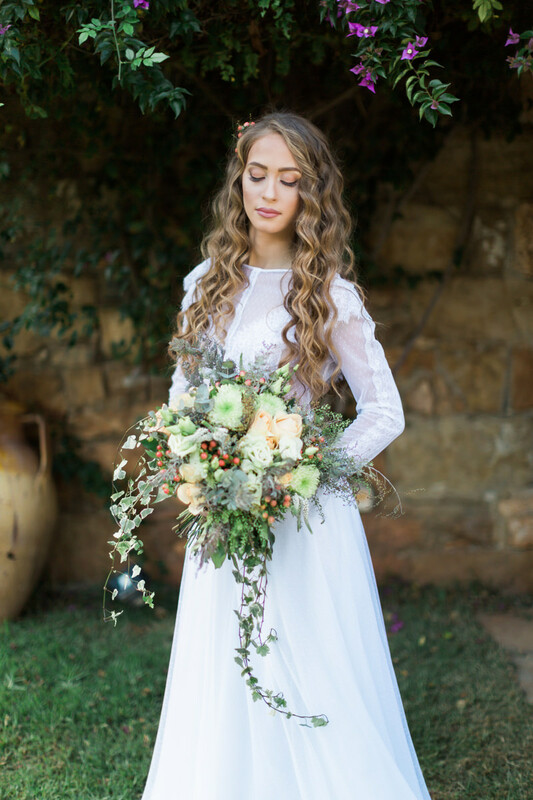 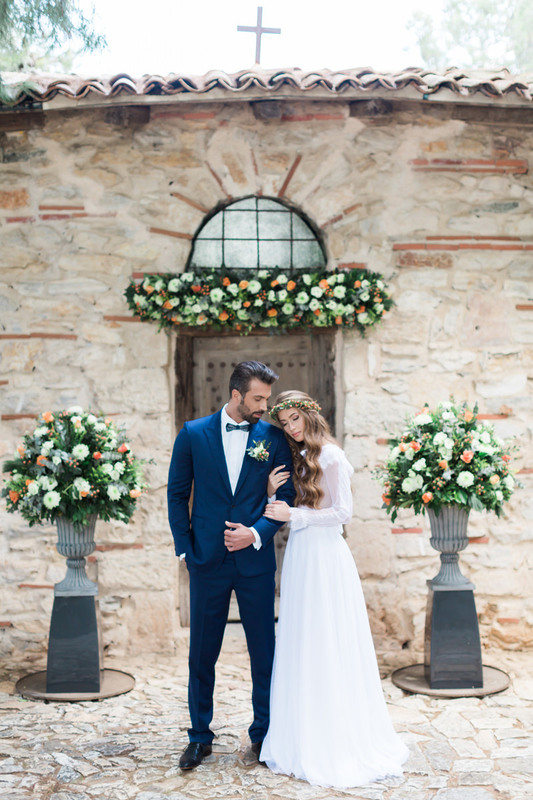 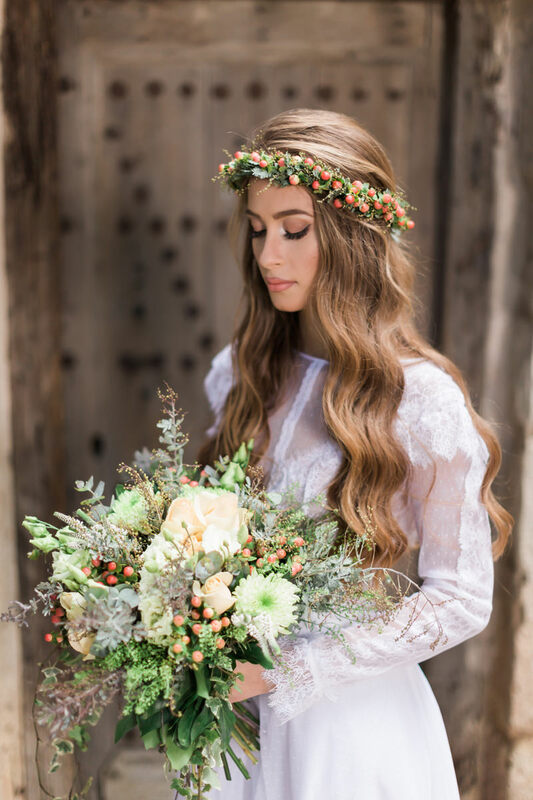 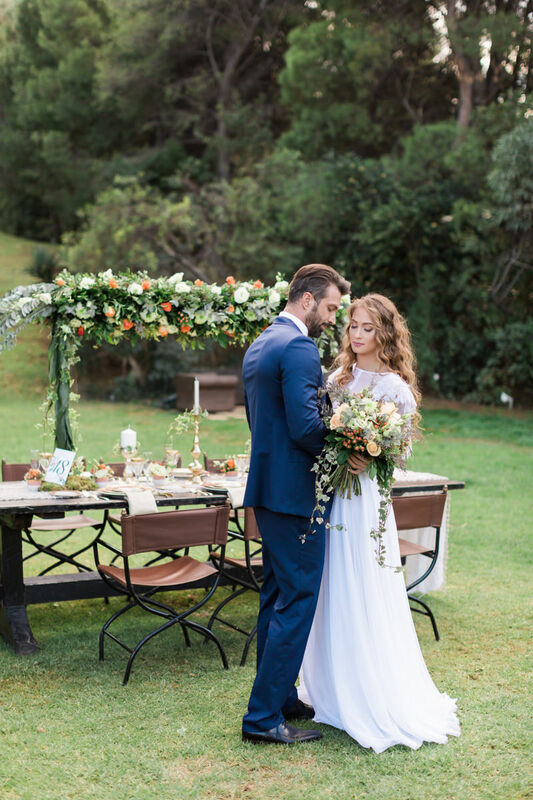 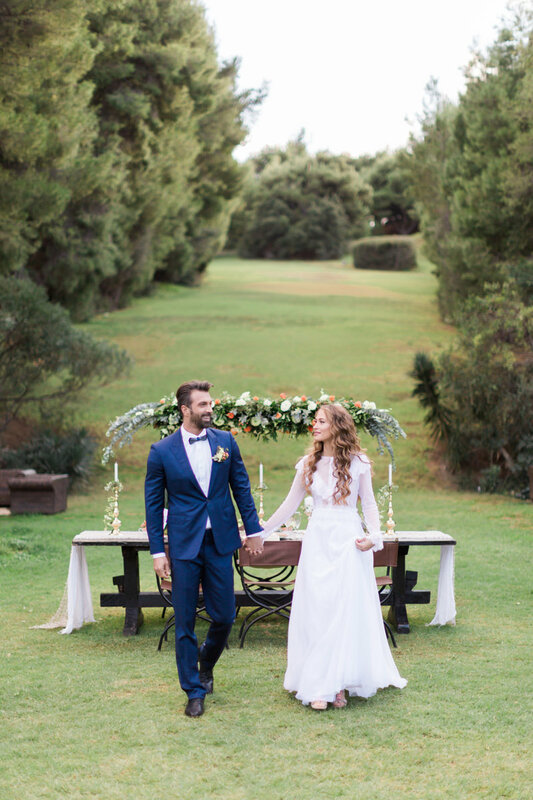 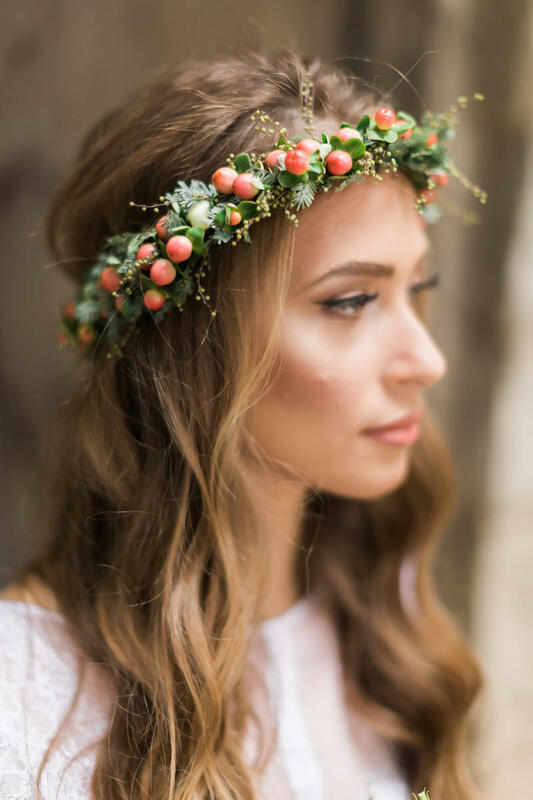 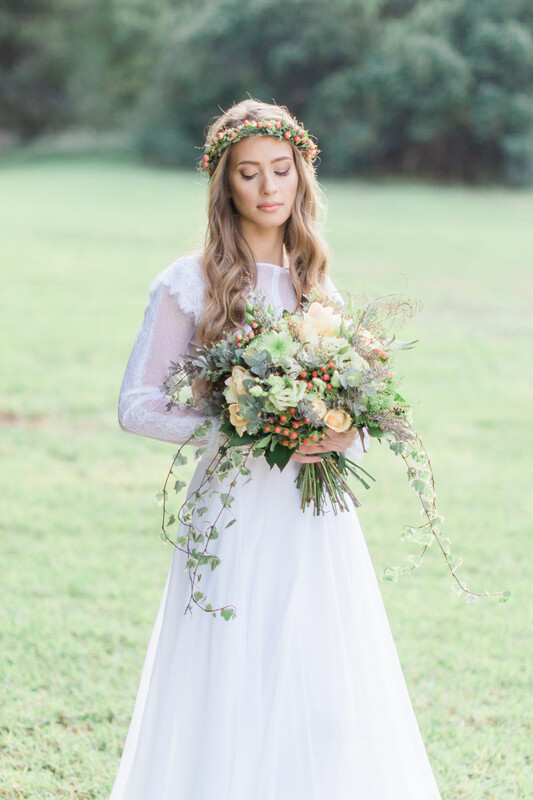 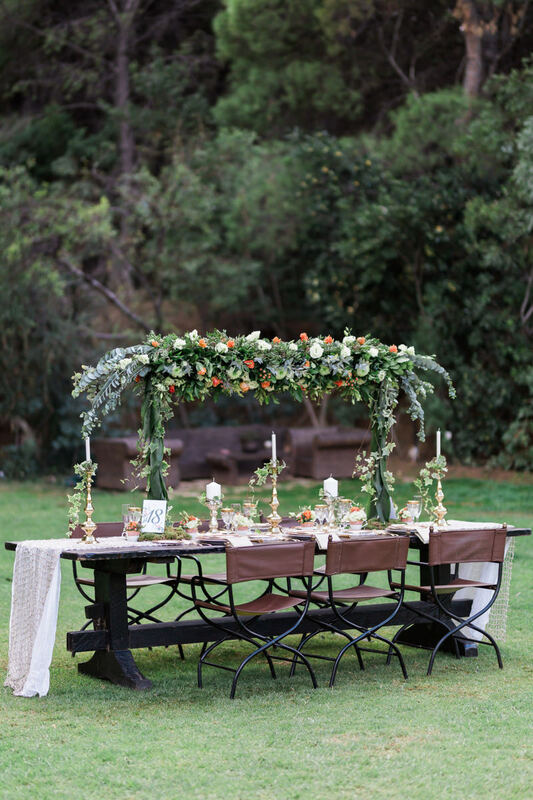 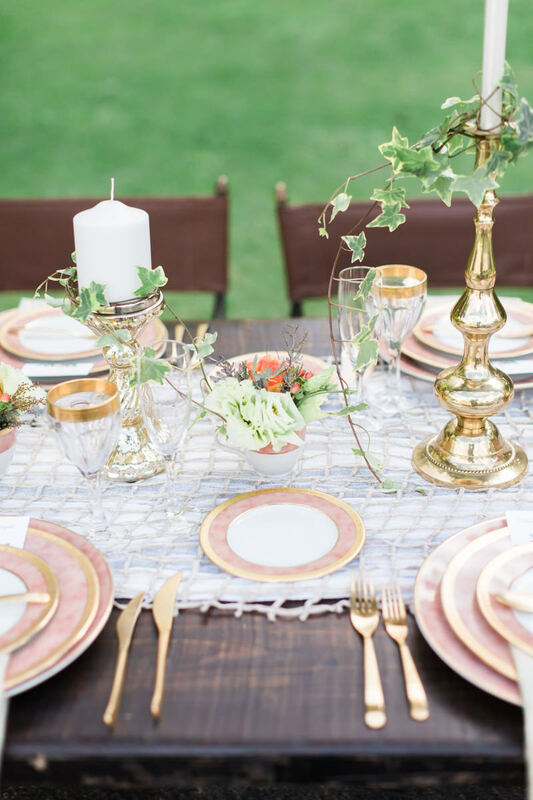 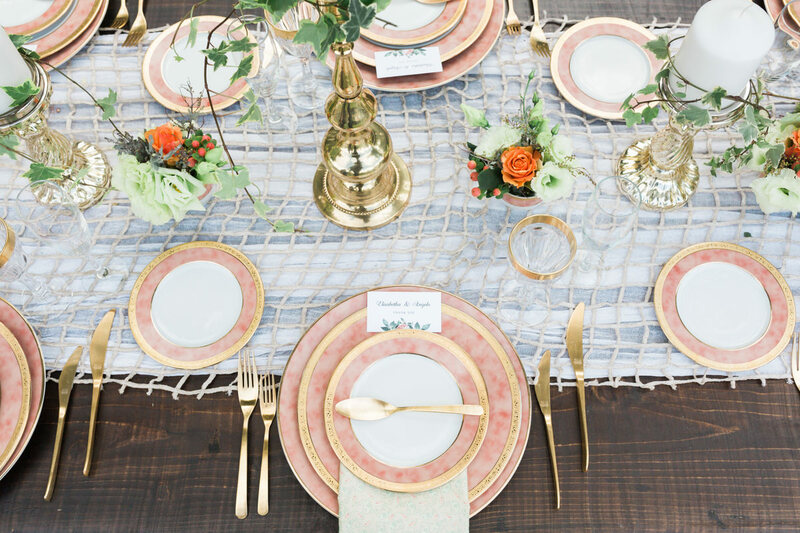 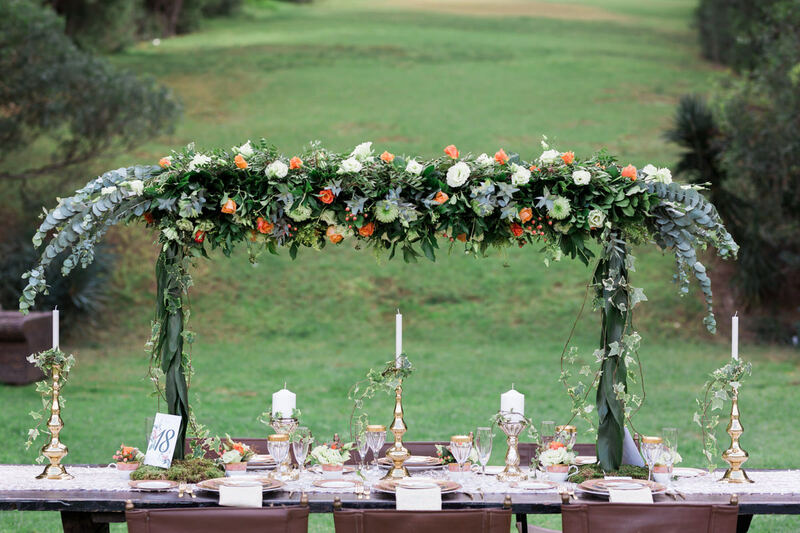 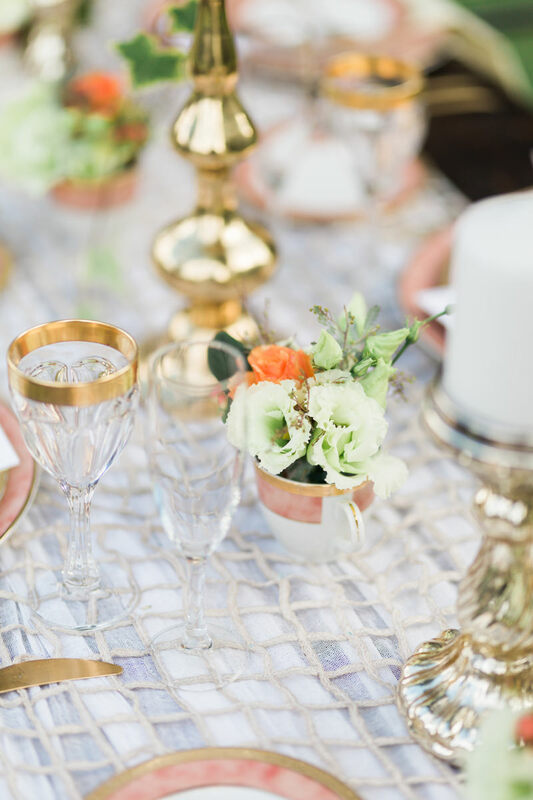 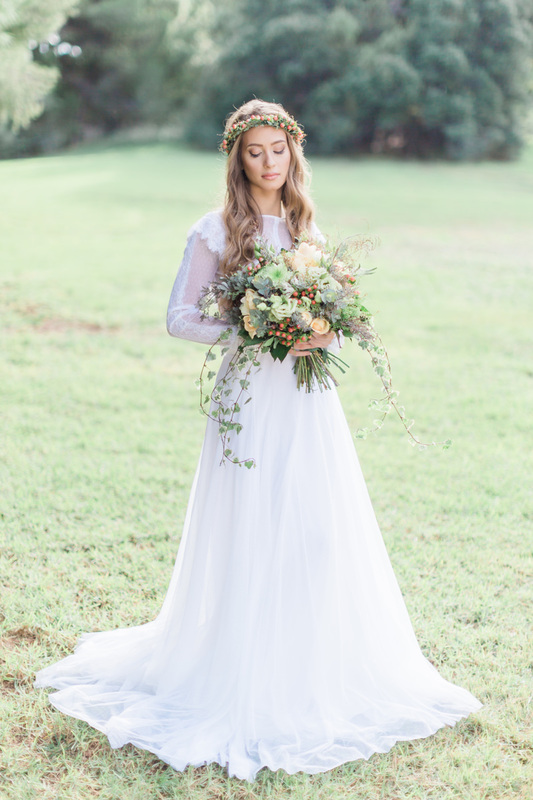 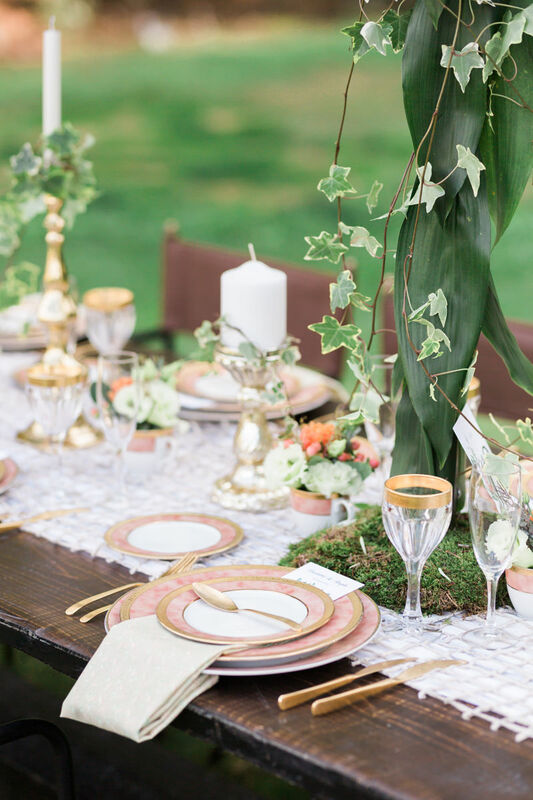 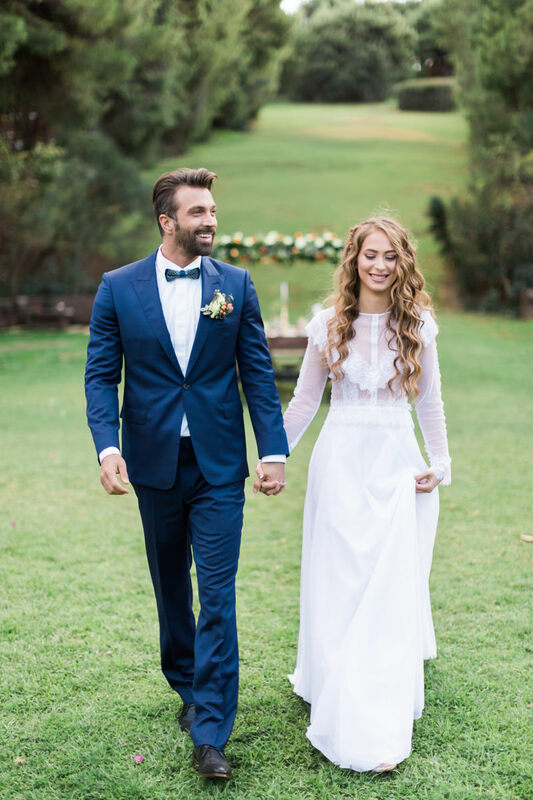 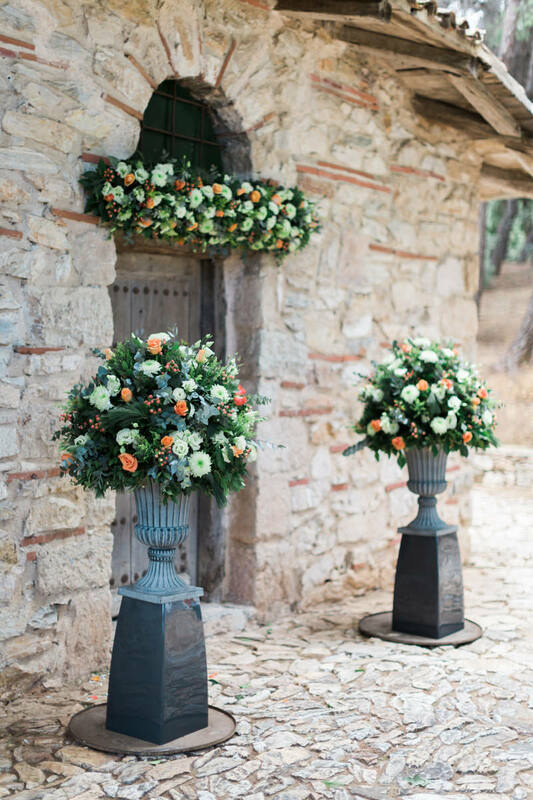 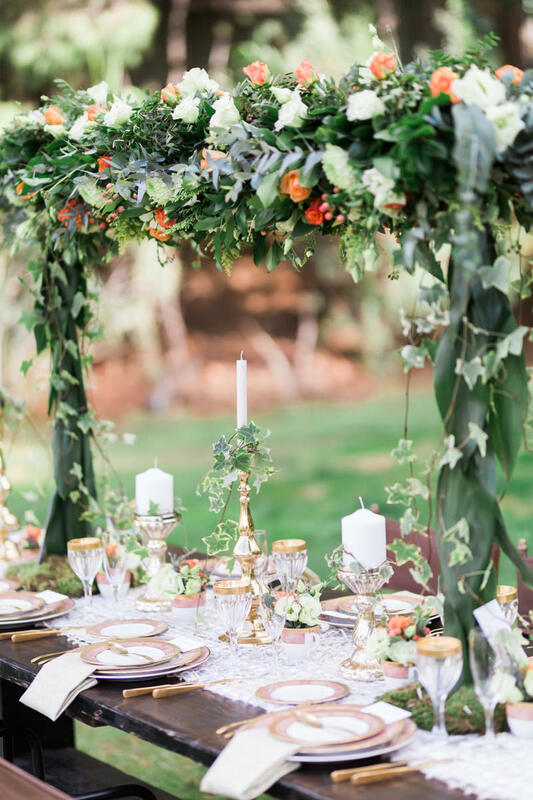 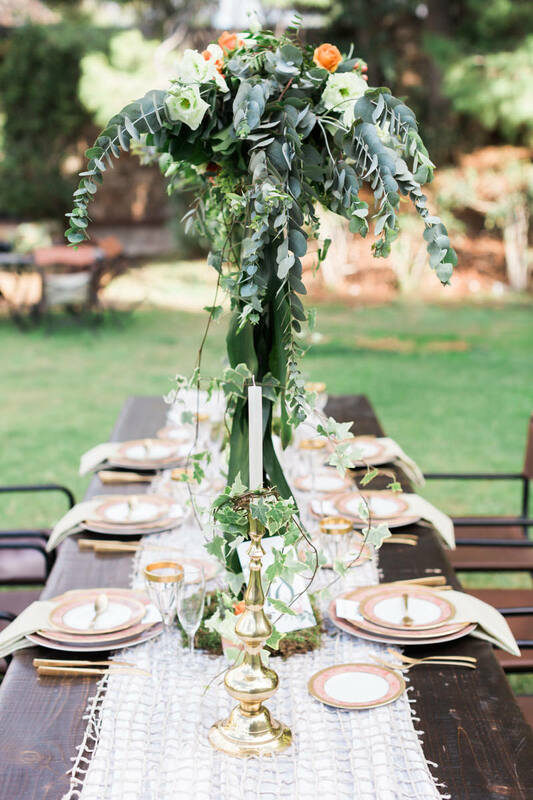 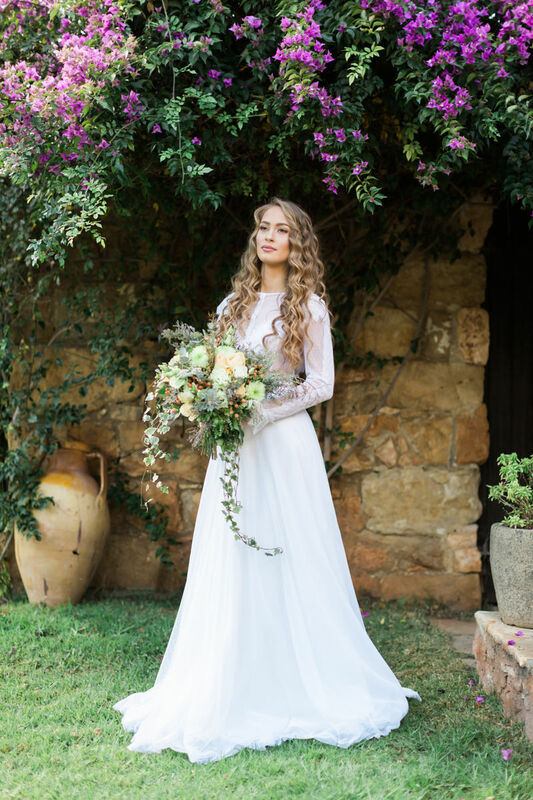 Elena Soulioti and Takis Giannetos joined forces to this unique occasion providing a Fairytale Countryside Dream for the bride and groom. 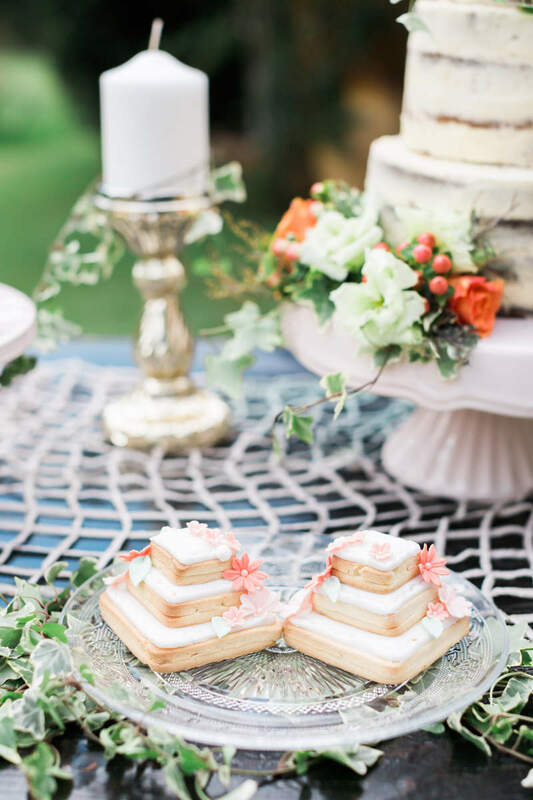 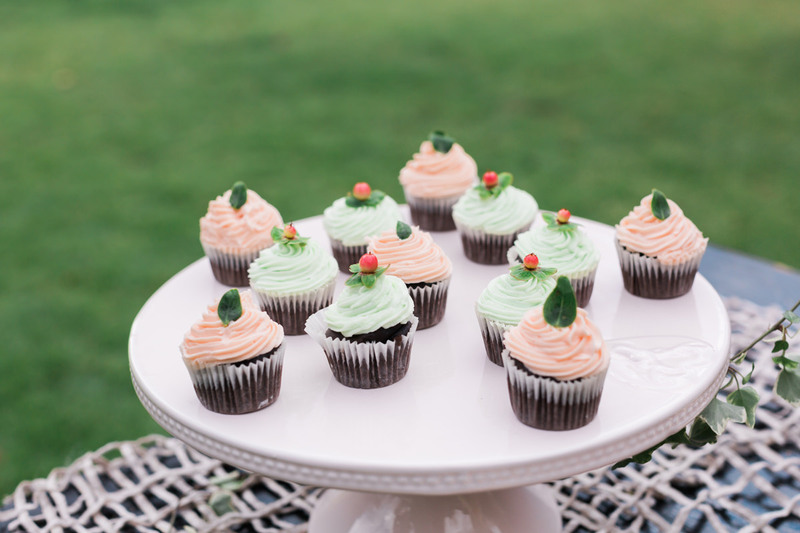 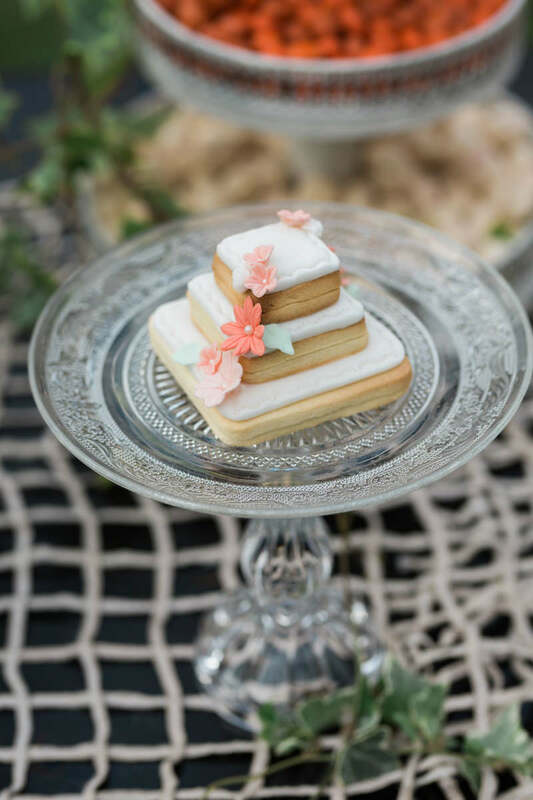 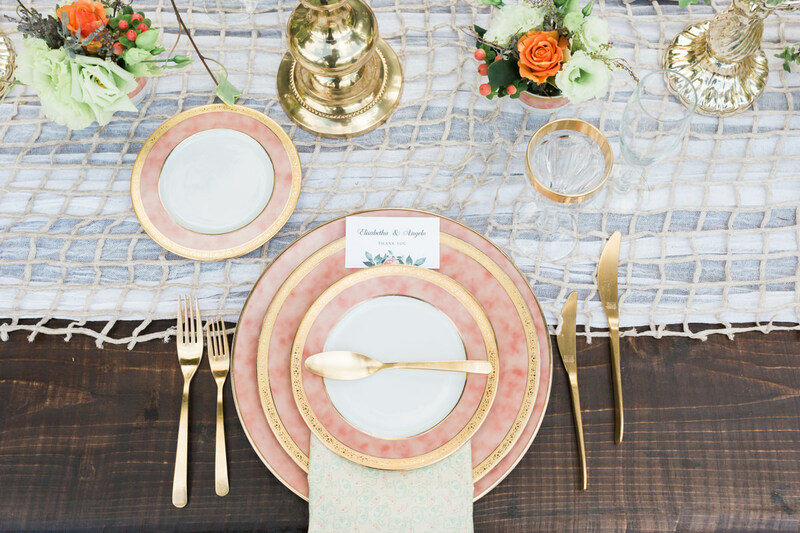 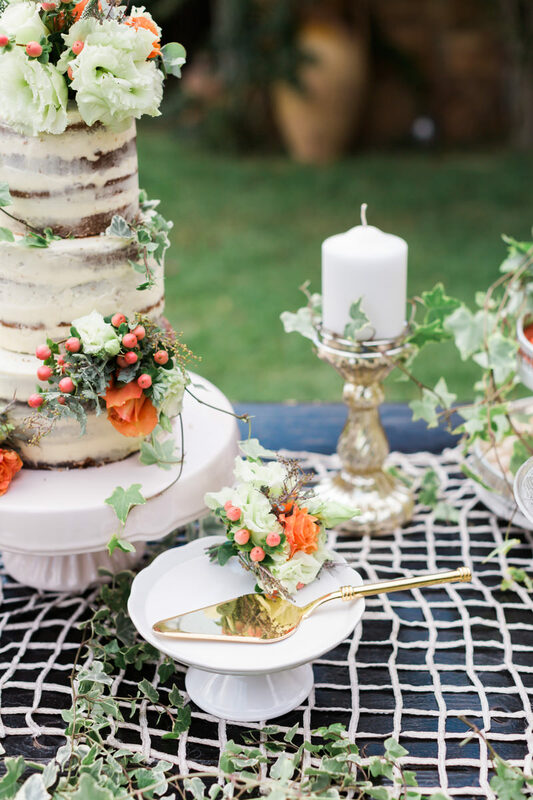 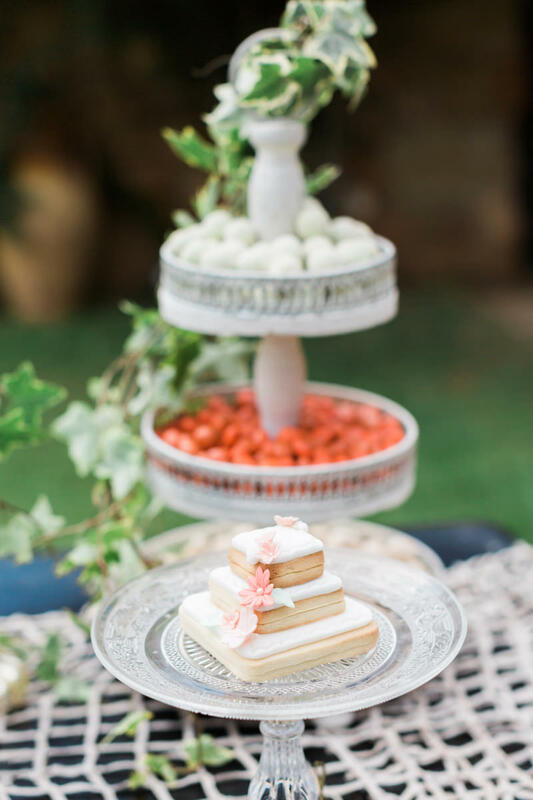 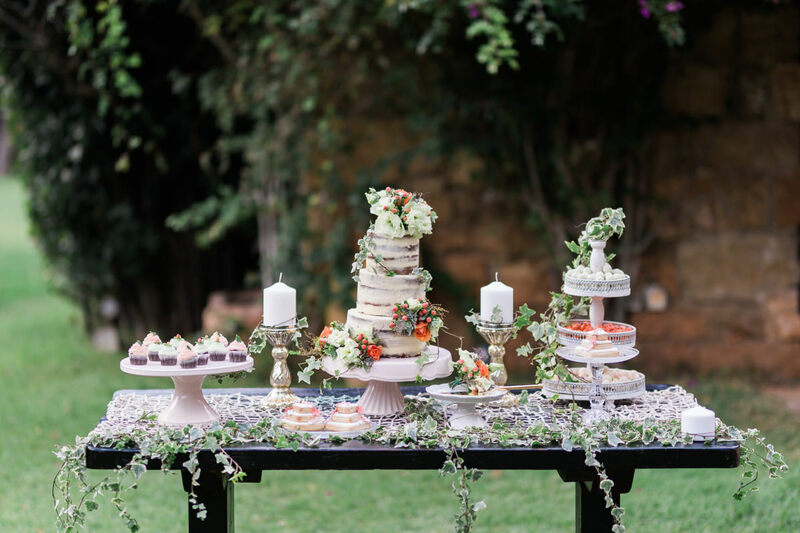 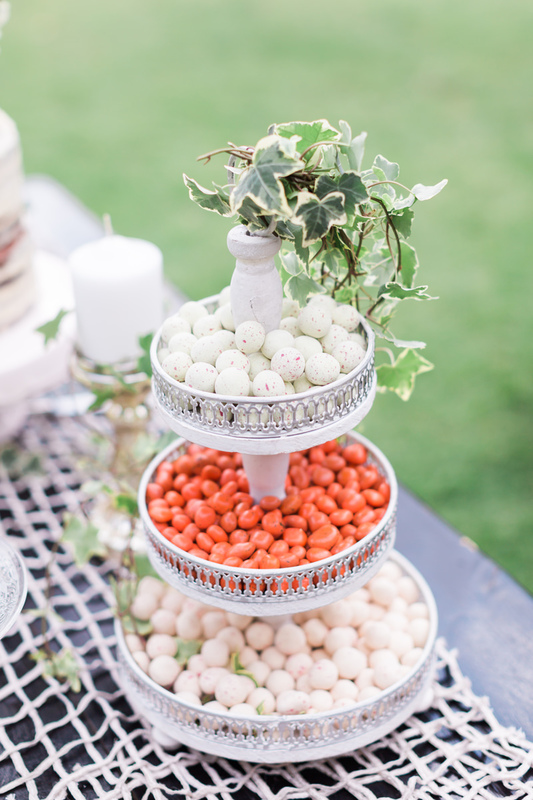 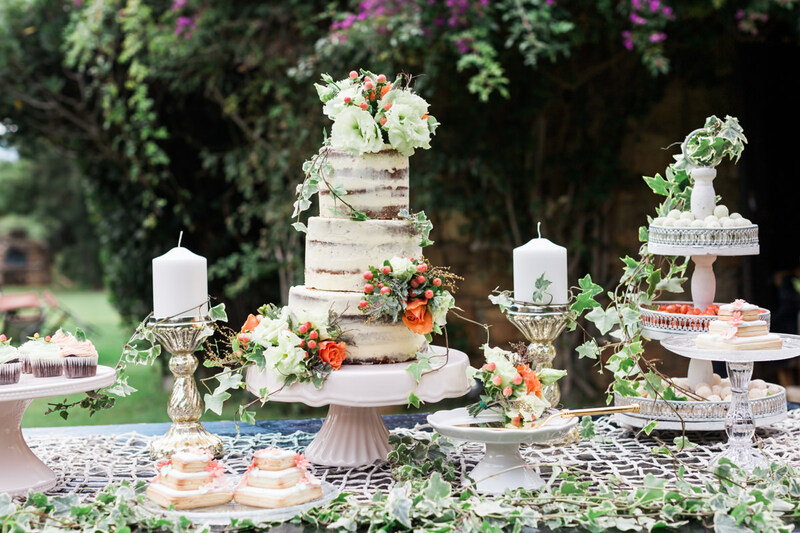 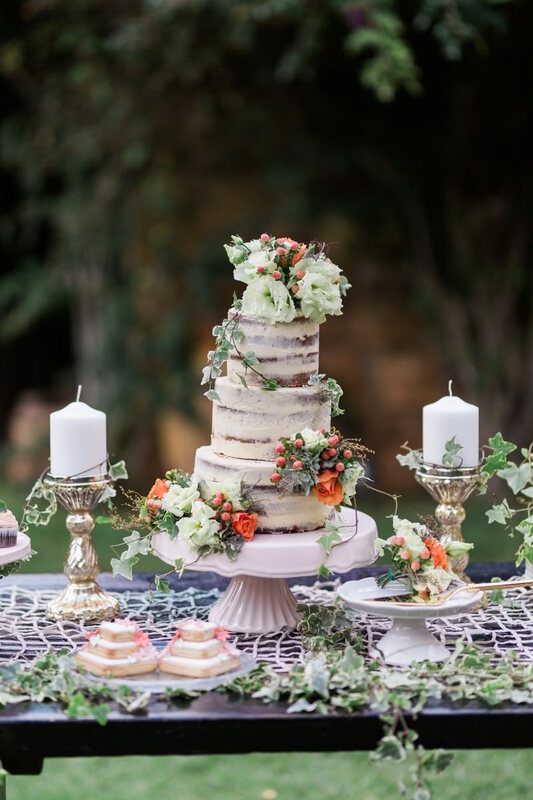 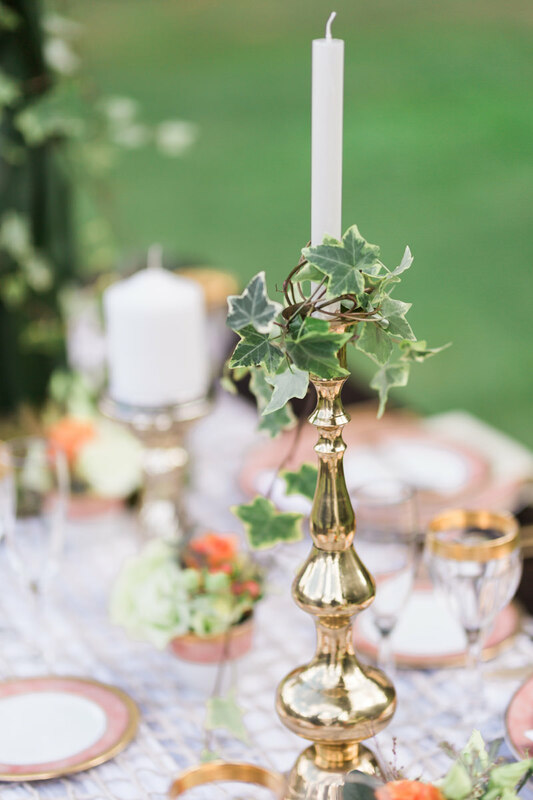 A dessert table covered with ivy leaves and sweets to satisfy both eyes and taste… The naked, lush cake was calling you to take a bite on a journey full of vanilla cream & red velvet cake flavors… created handmade by Piece of Cake. 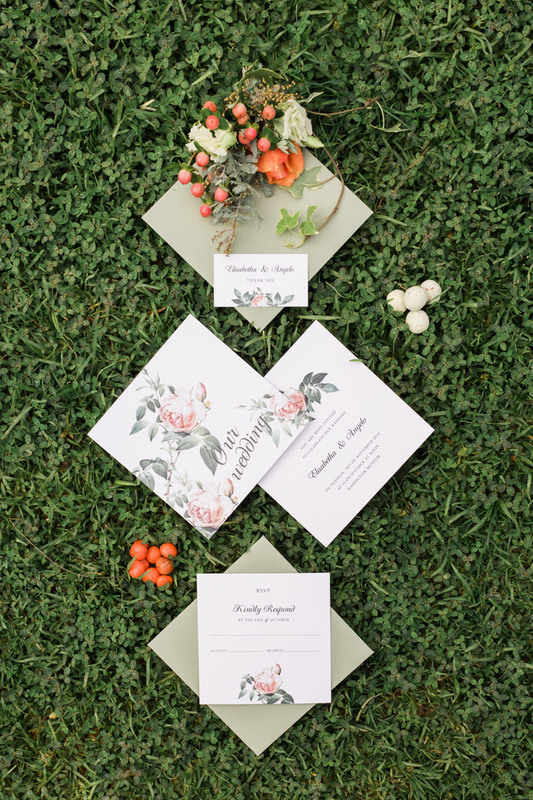 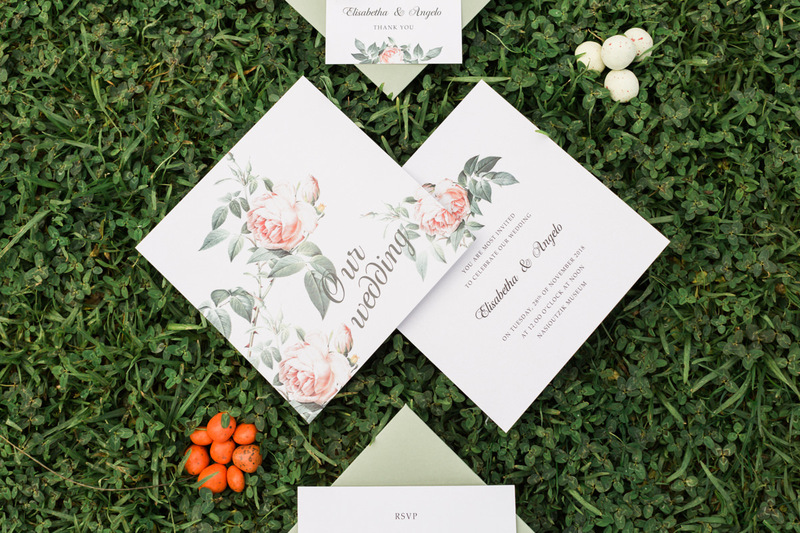 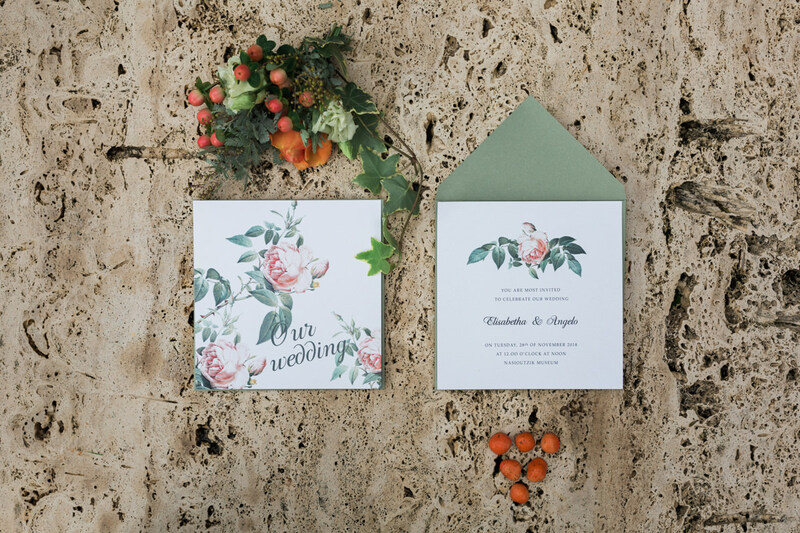 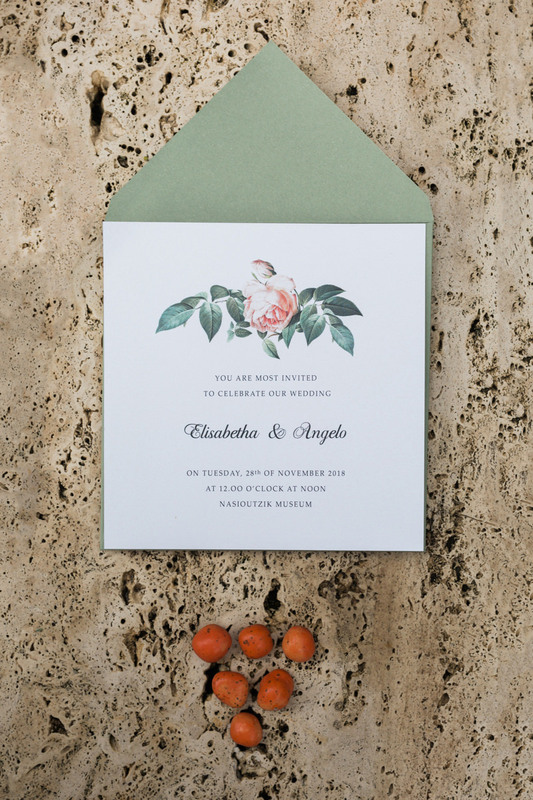 The matching invitations and RSVP cards keeping the same style and elegance, were simple, floral and aesthetic… all by Just Invite by Xenos Print. 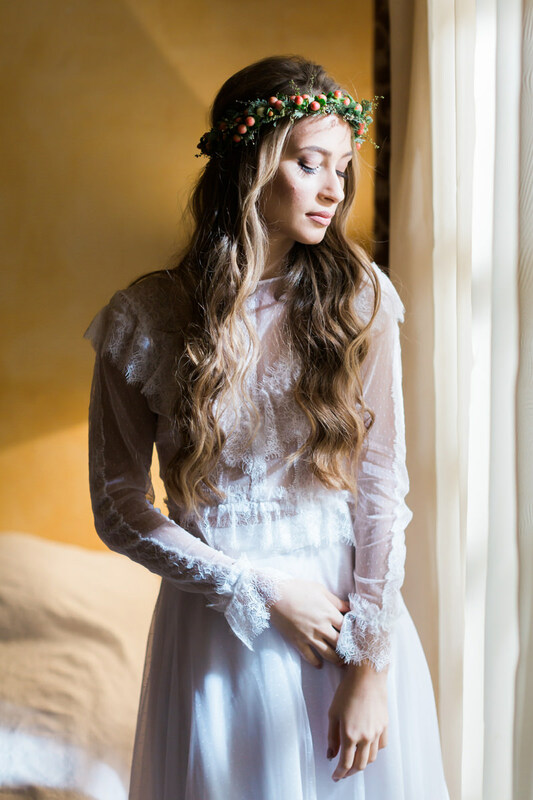 Elisabetta looks herself in the mirror as she is getting ready for the big day as Adrian fixing her carefully artfully bridal hair. 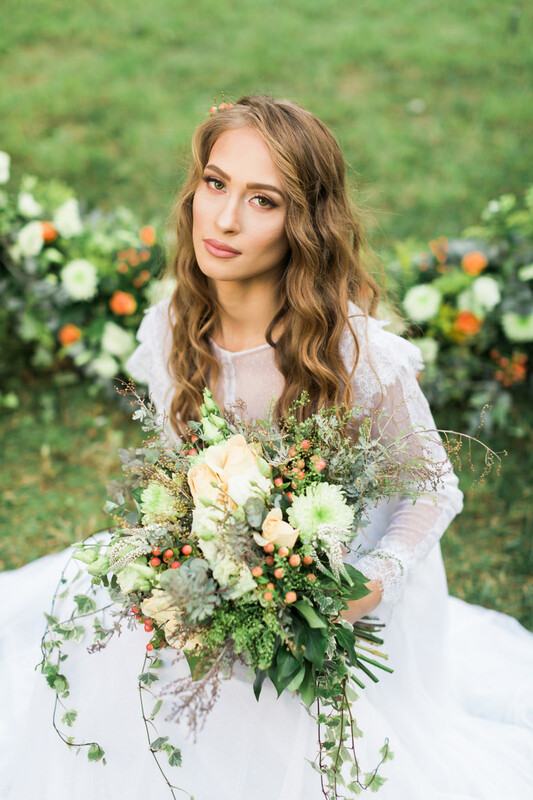 Hair styling by Ilias and staff team, while her make-up was taking care by Adamantia Katsampi. 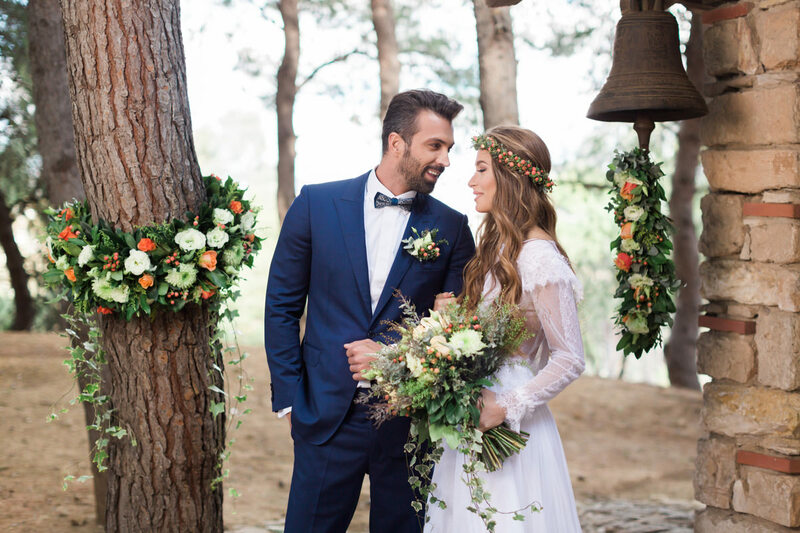 The concept design and implementation for this day was inspired and organized by Eclectic Events Greece, who are specialists in designing unique celebrations that reflect old and new traditions and satisfy each couple’s special needs thus creating memories that will last a lifetime – It’s all about Real & Authentic weddings stories to tell!